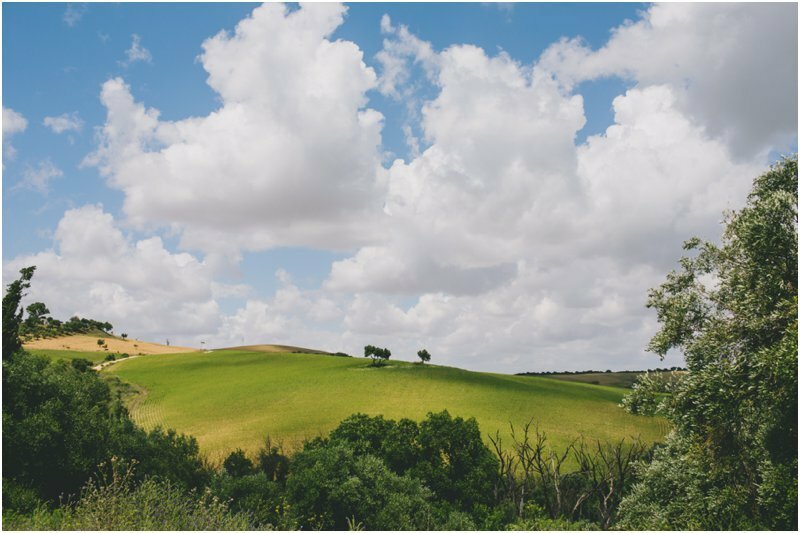 As I drove up the windy bumpy road in my little hire car I pretty much had my mouth to the floor the whole way up. 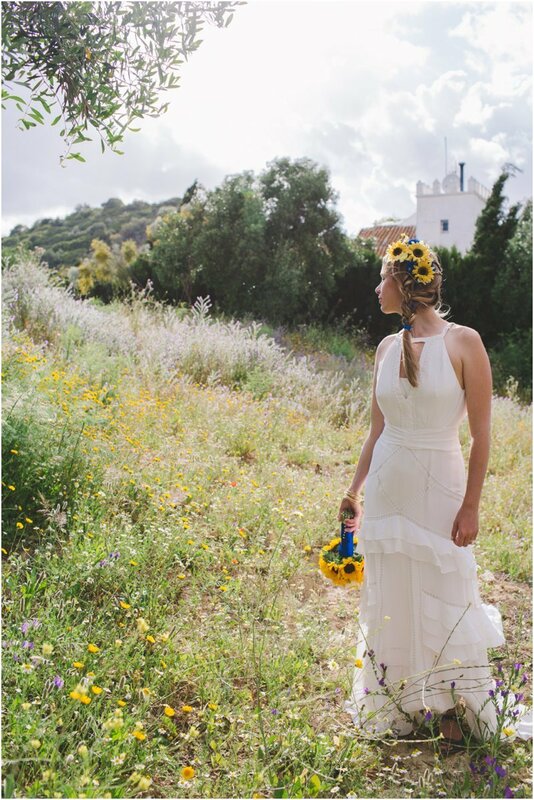 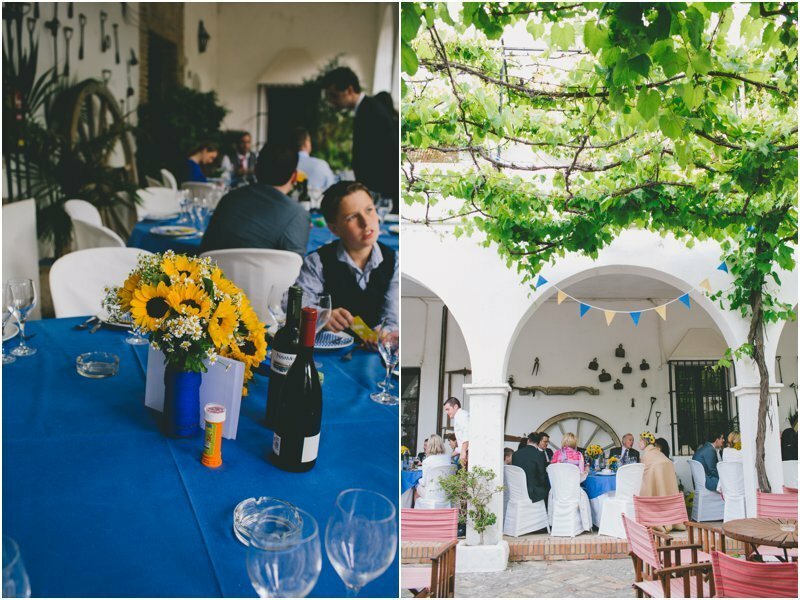 Cortijo BarrancoÂ is a beautiful old olive farm set amongst stunning mountainous scenery Â surrounded by fields of sunflowers. 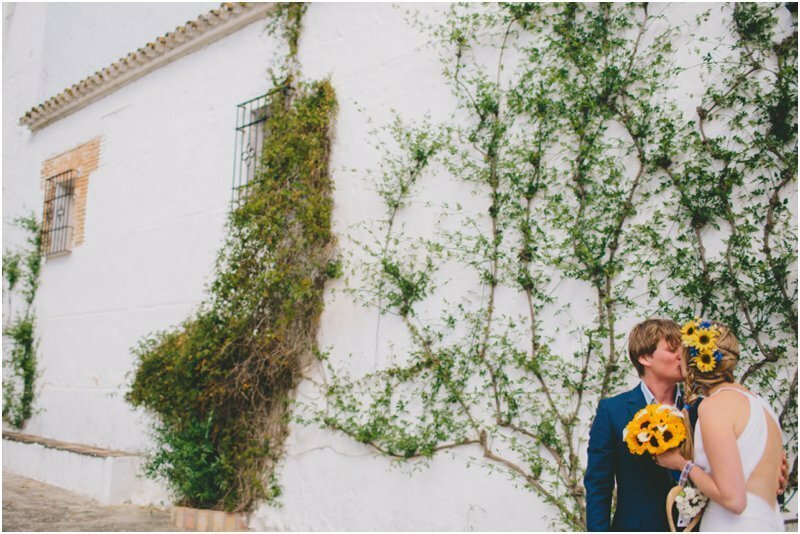 Very unusually for that time of year the weather was somewhat chilly for this part of spain (just my luck) and the sunflowers hadn’t made it out yet – booh! 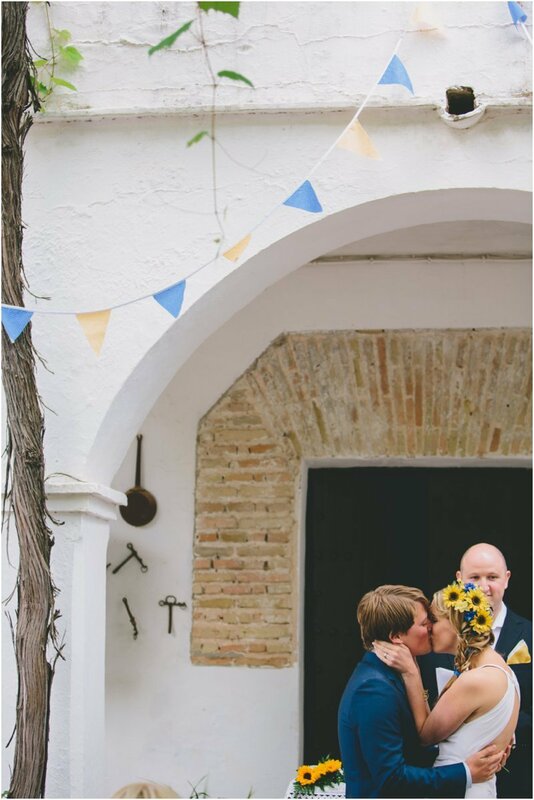 Even though it wasn’t quite blue skies and warm sun it was still an amazing wedding, I guess even Spain get’s it’s cold spells! 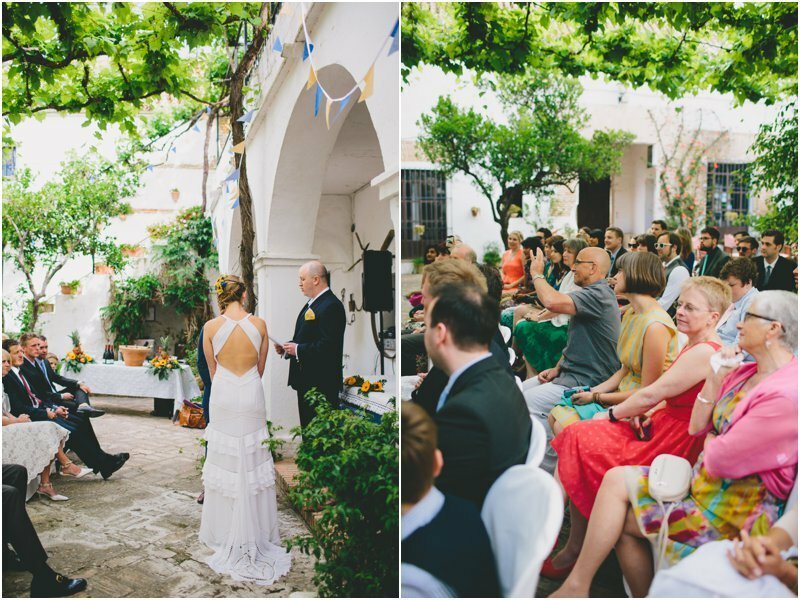 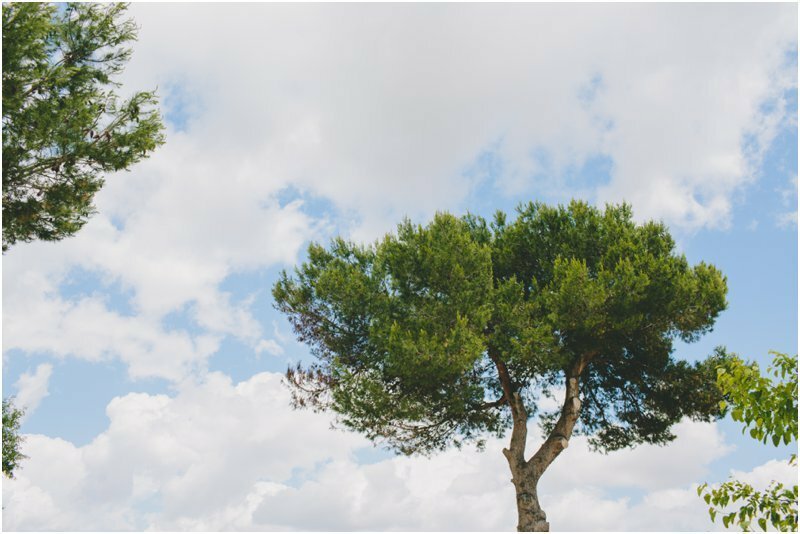 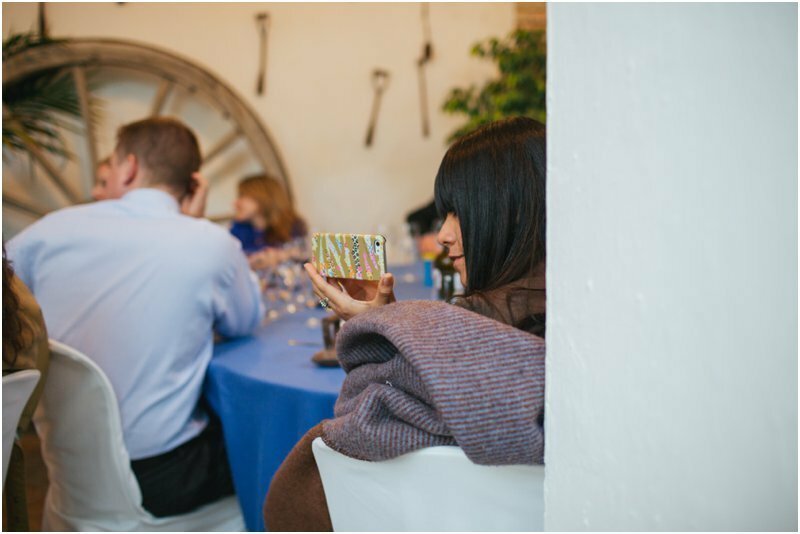 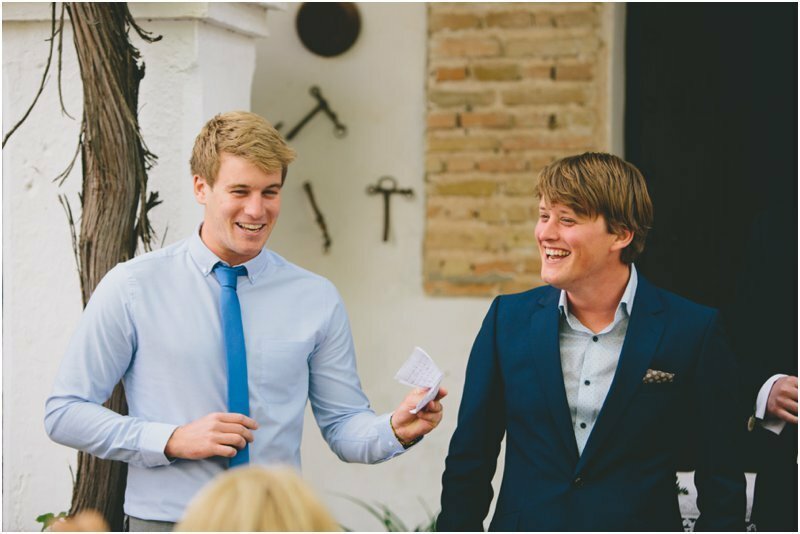 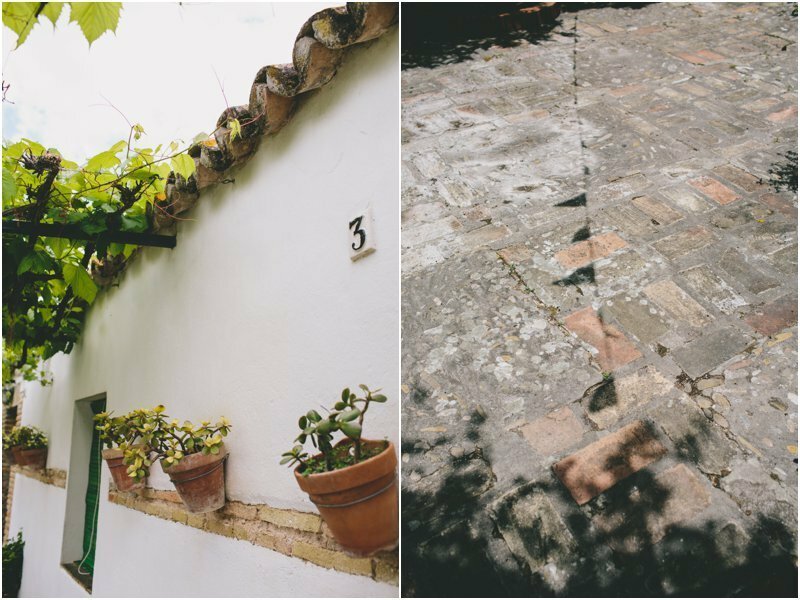 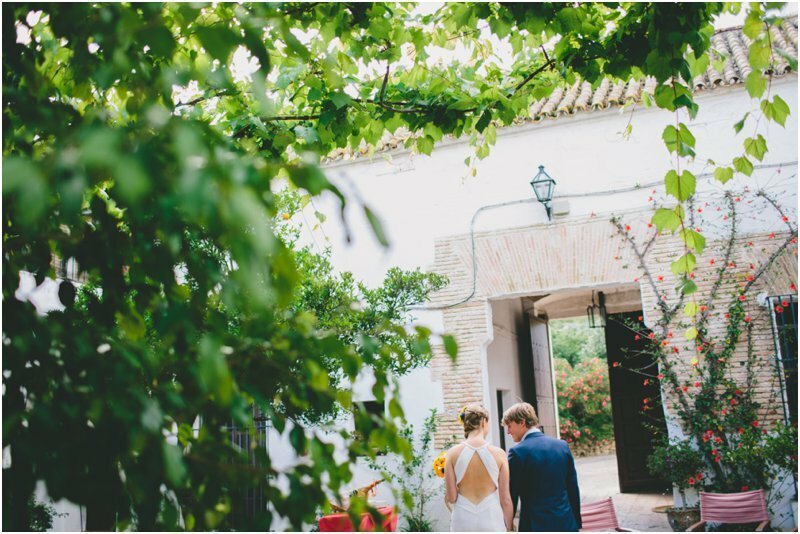 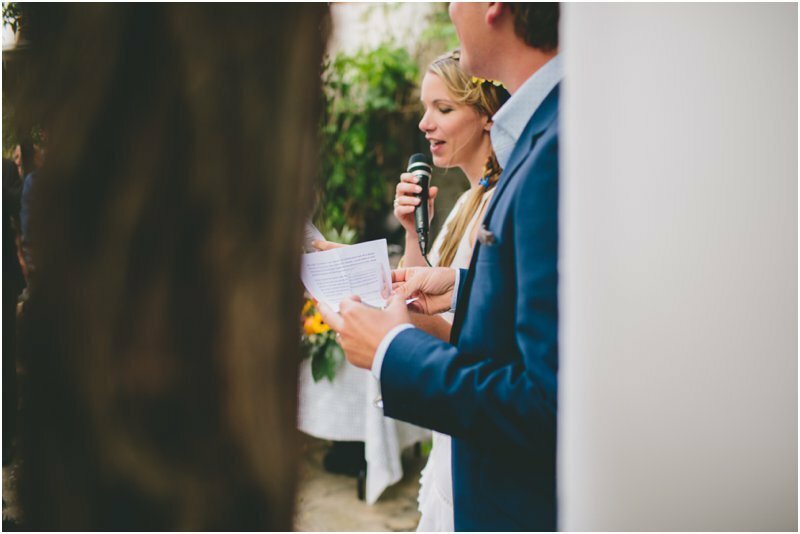 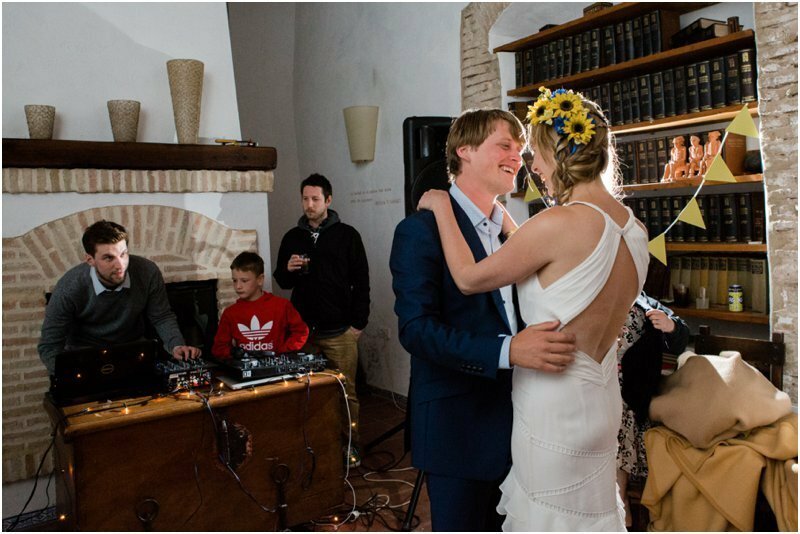 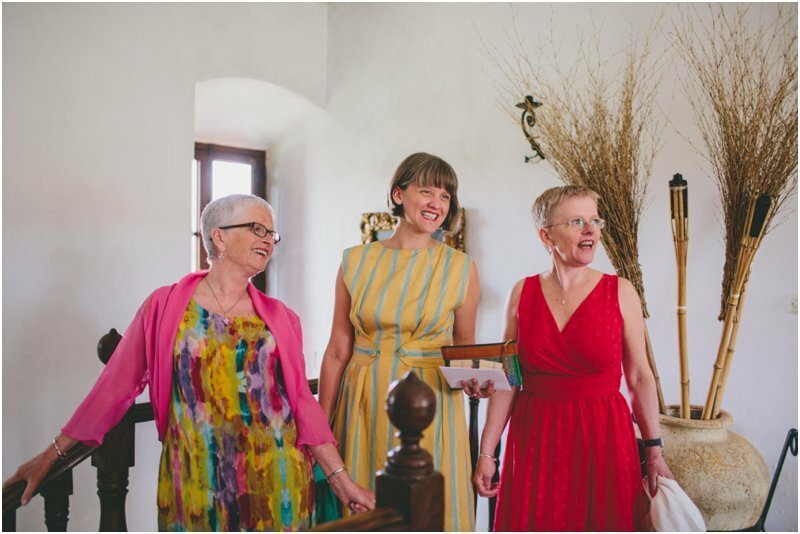 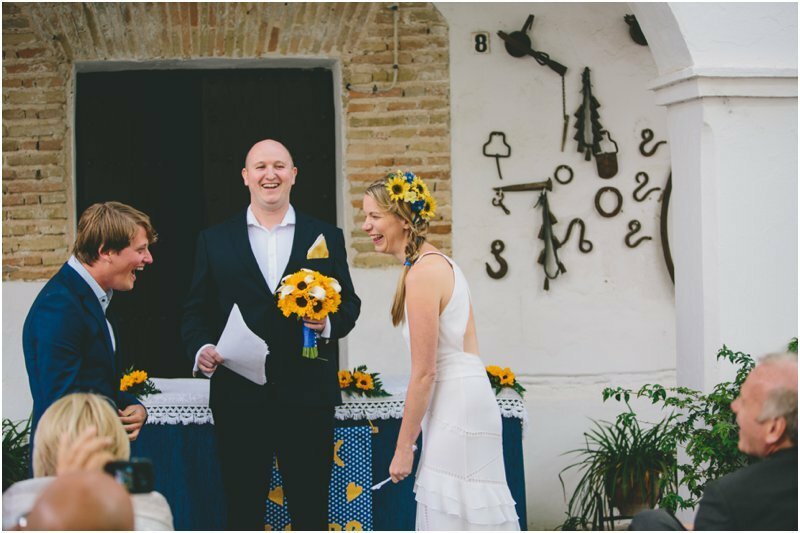 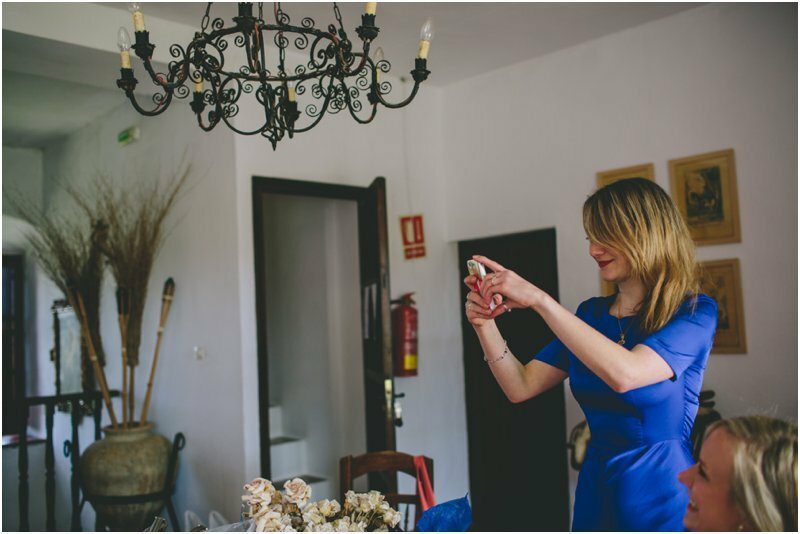 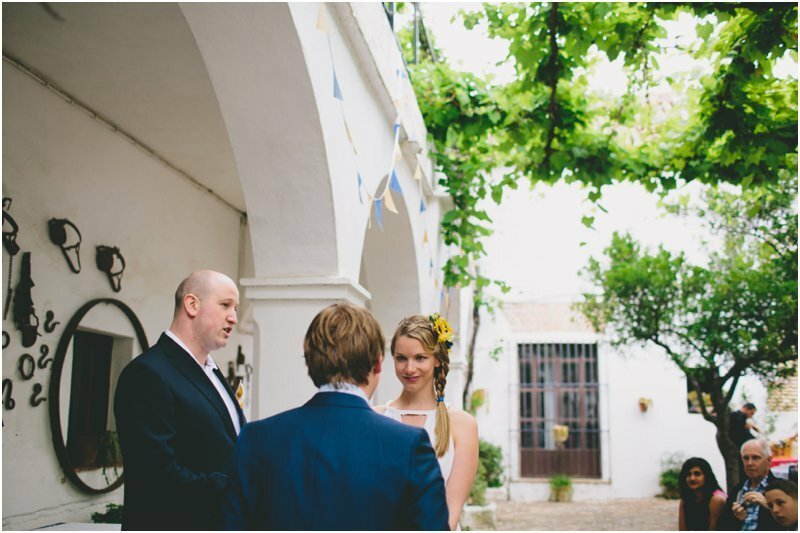 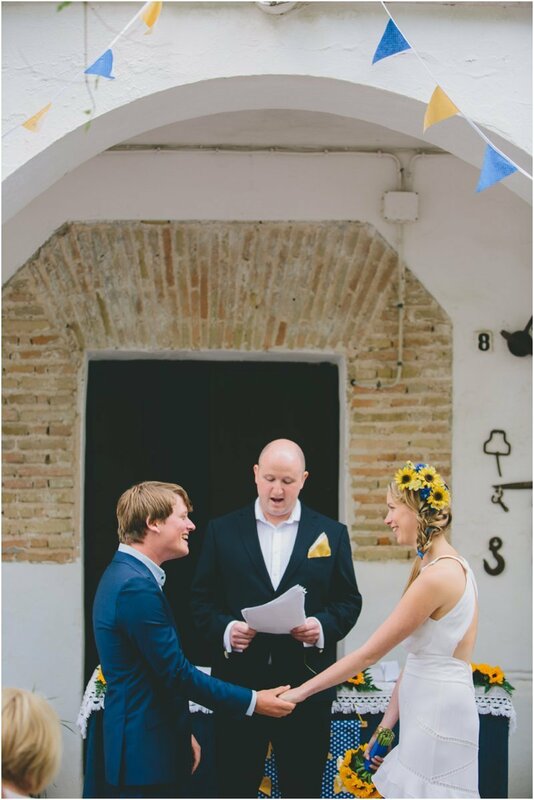 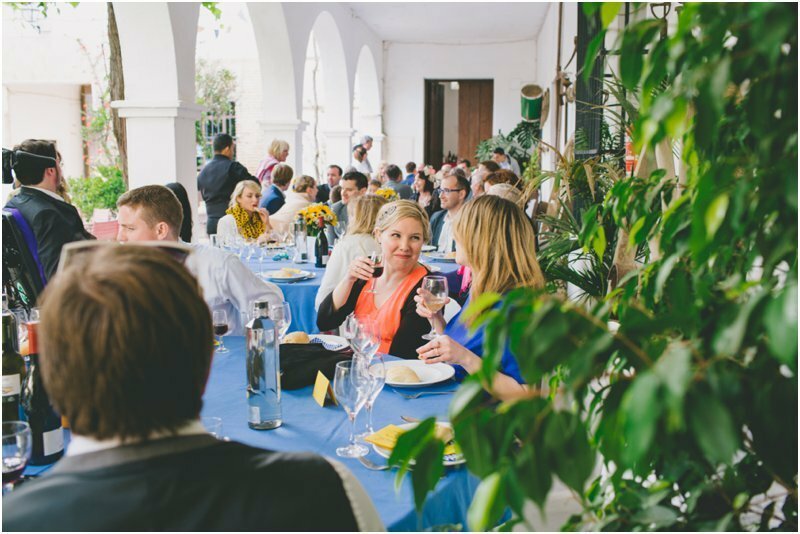 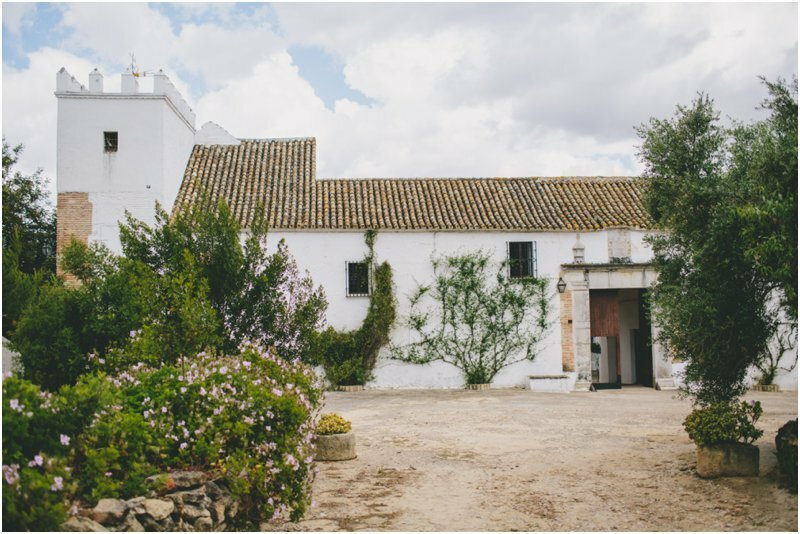 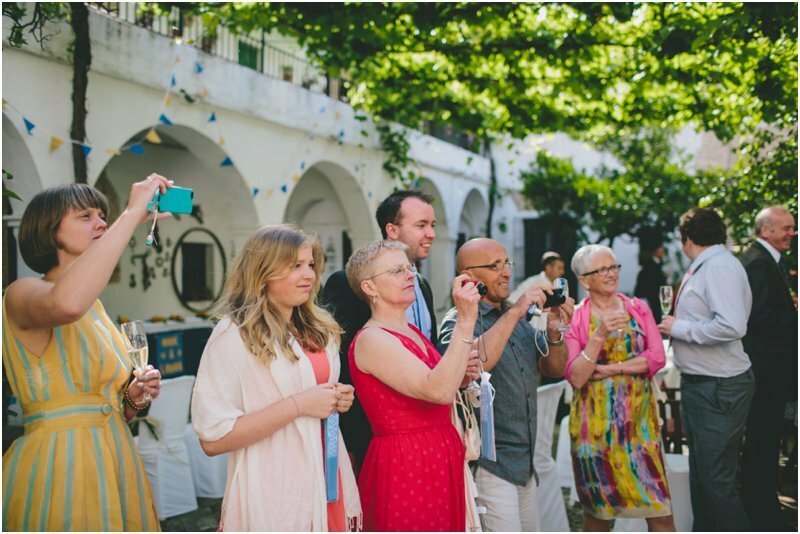 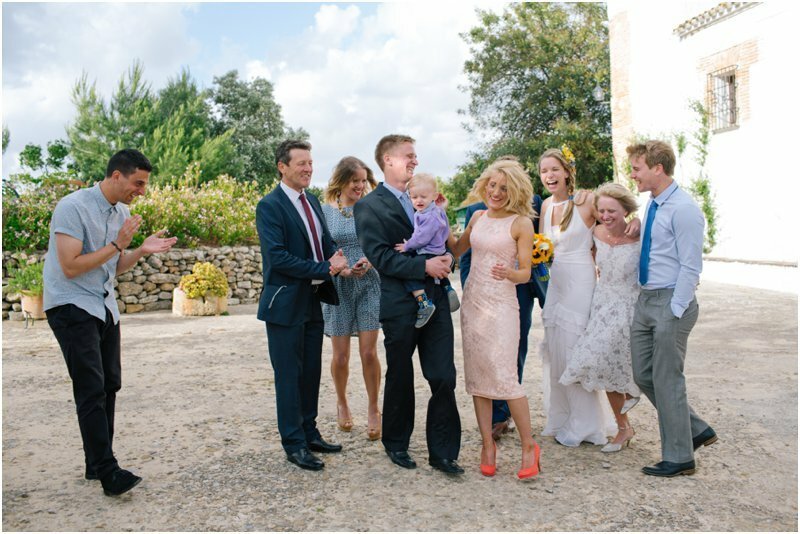 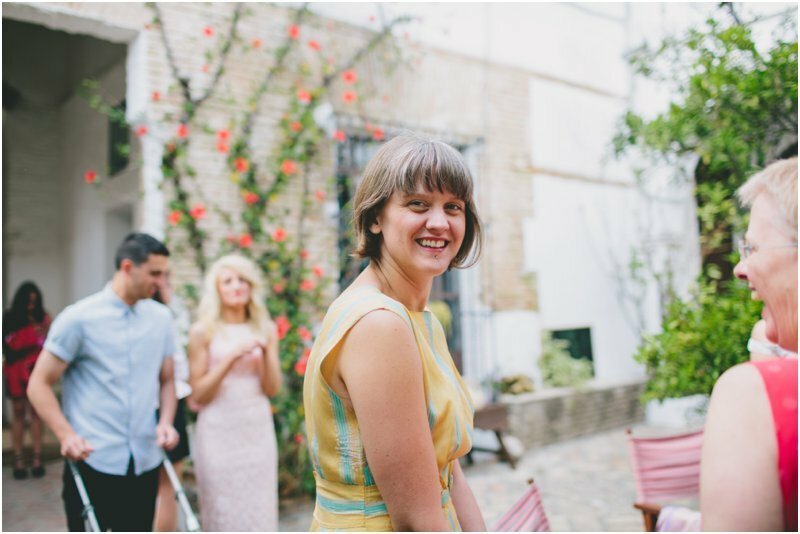 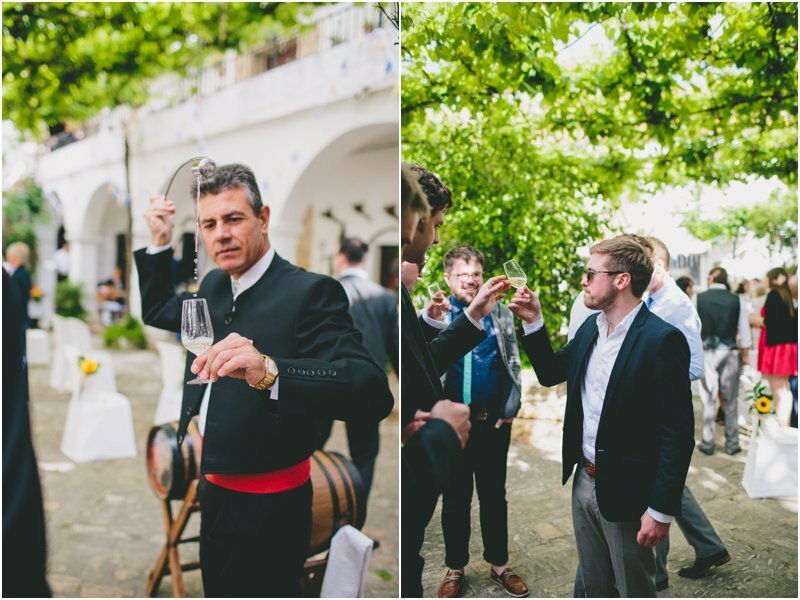 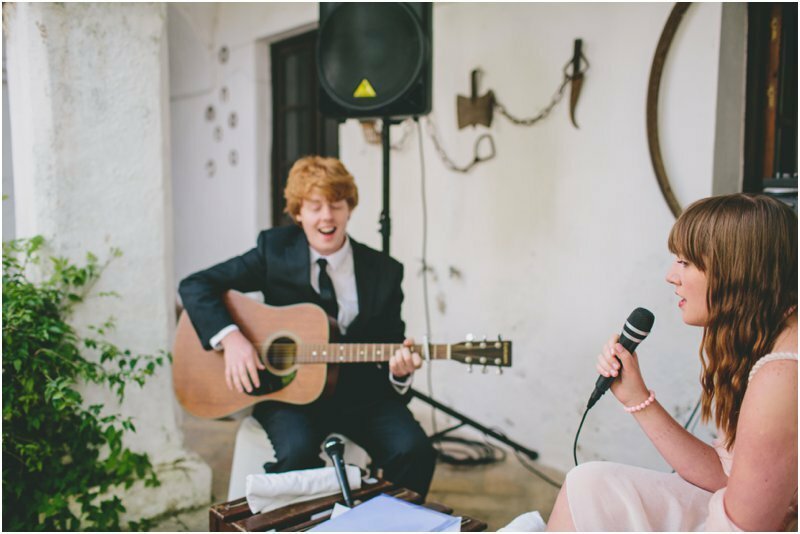 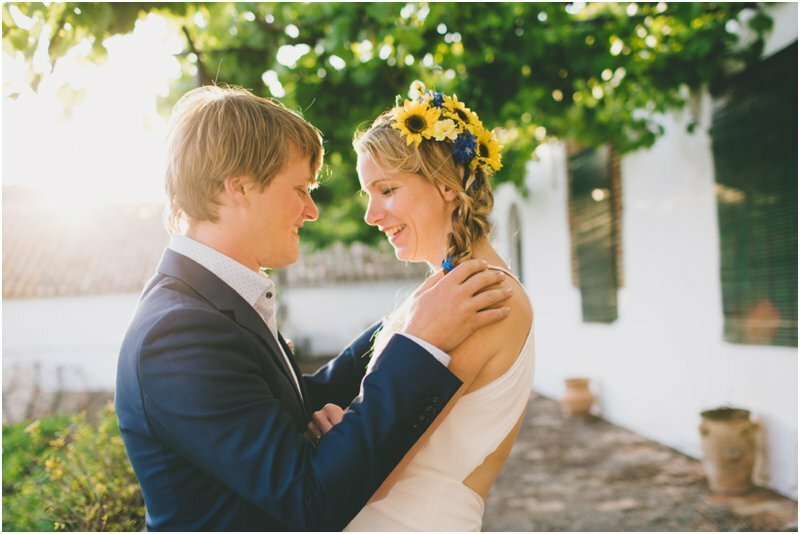 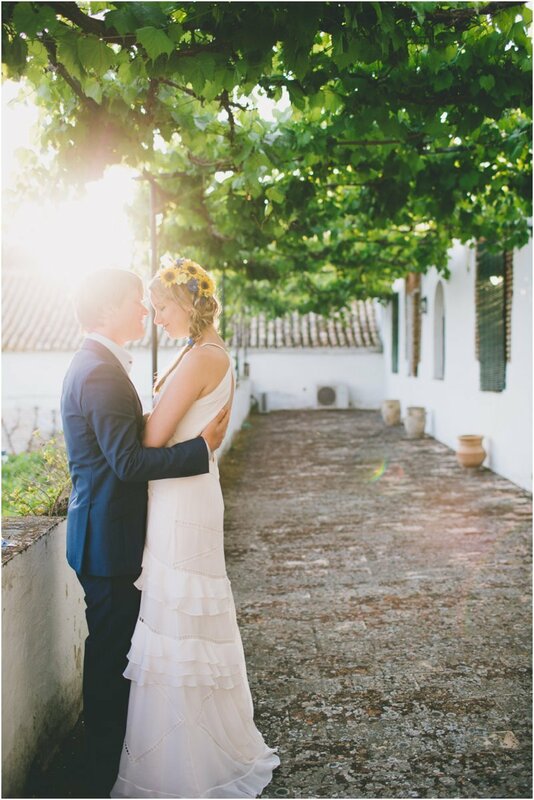 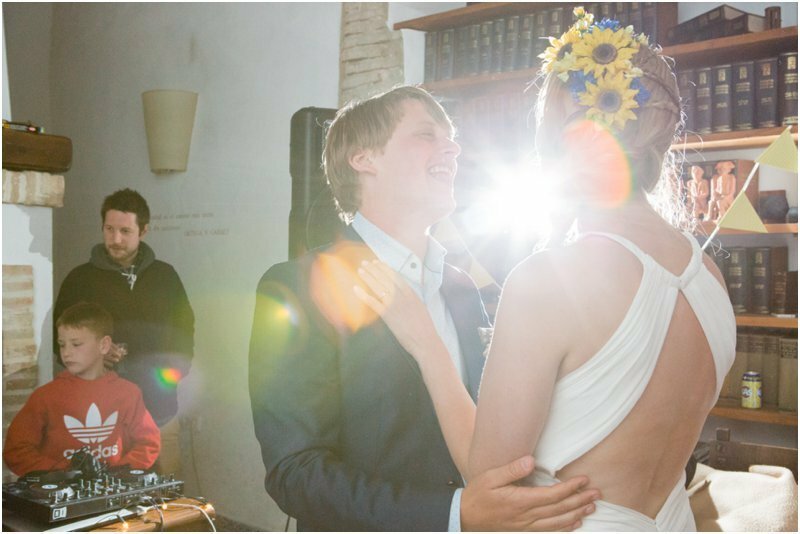 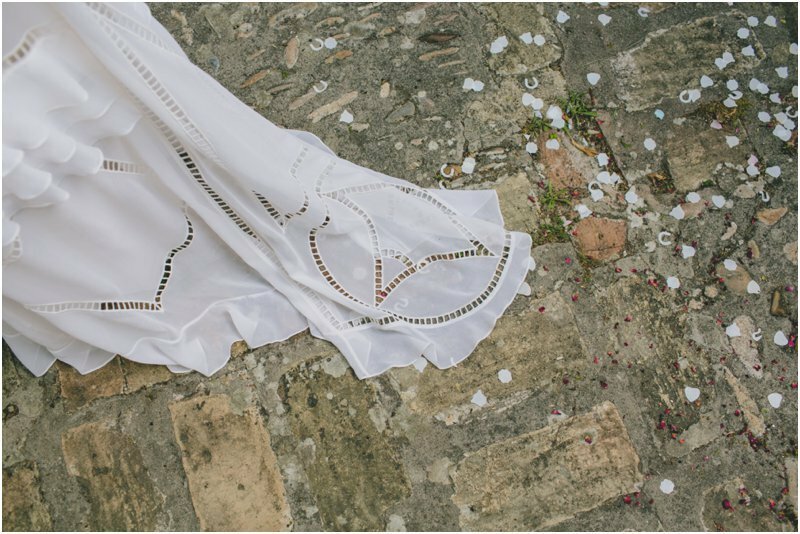 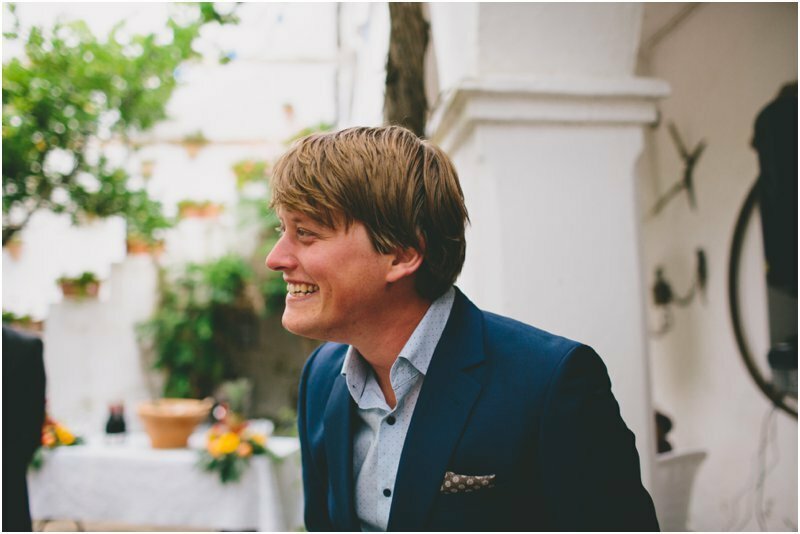 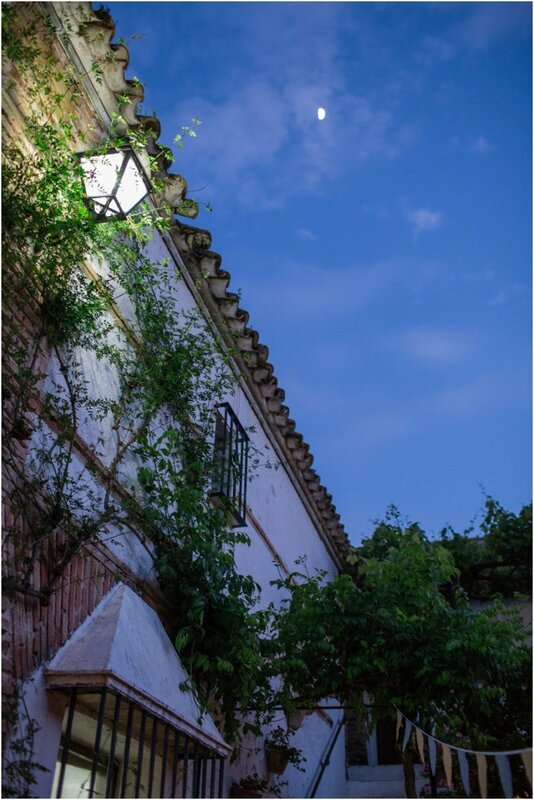 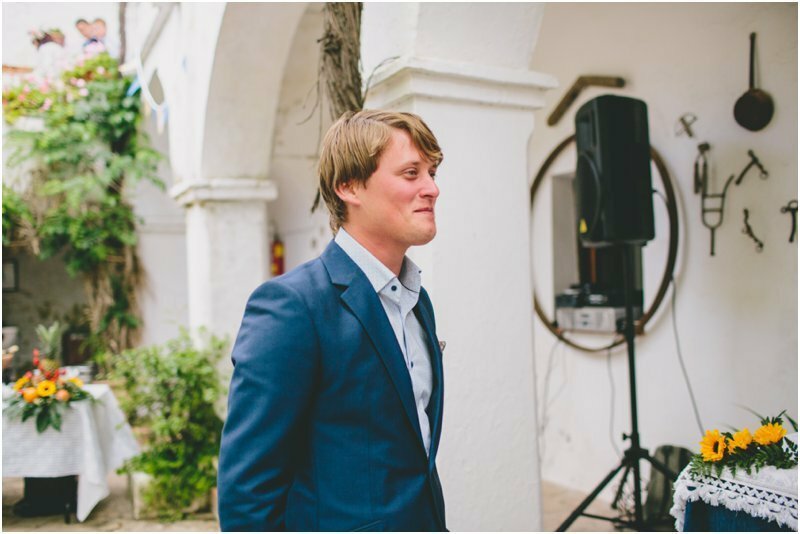 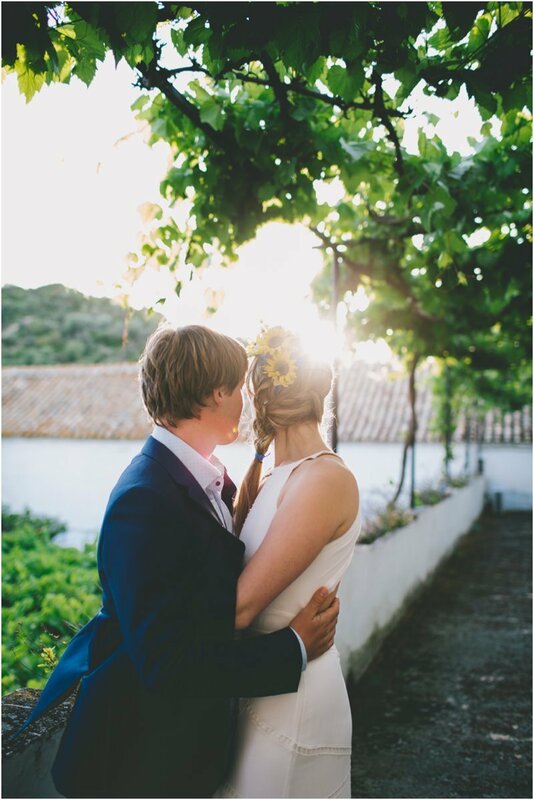 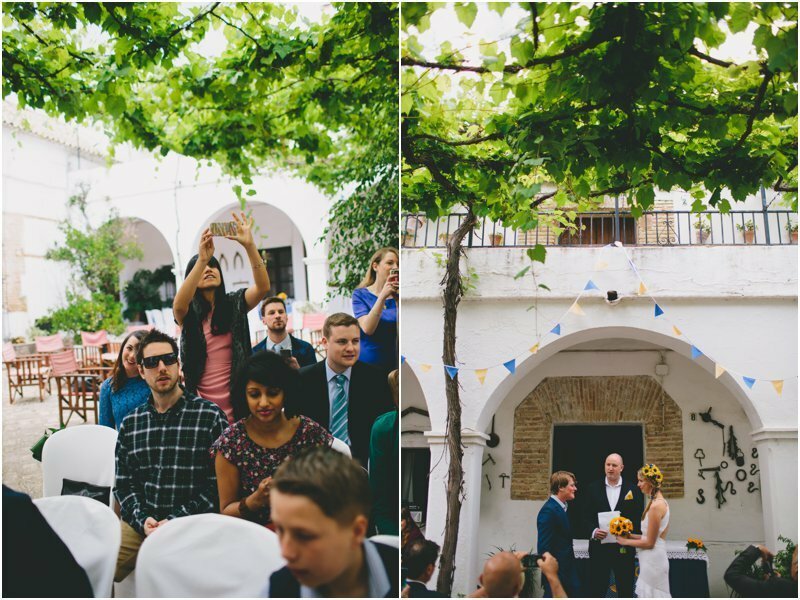 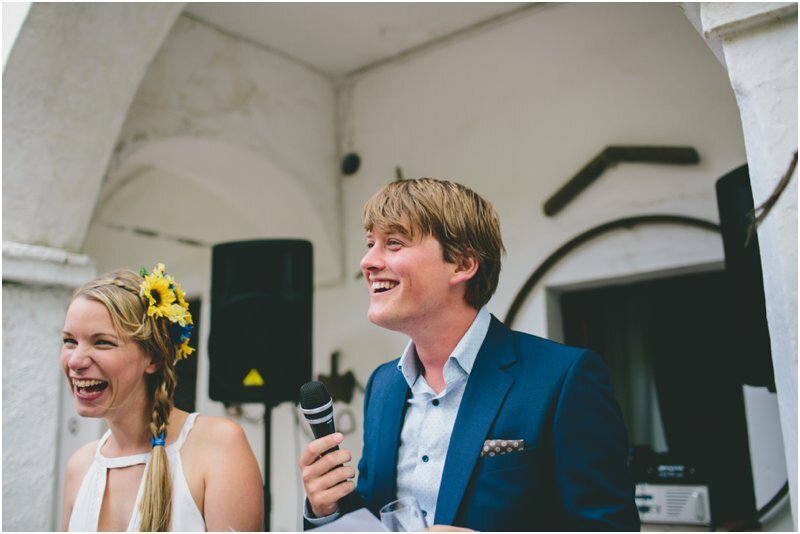 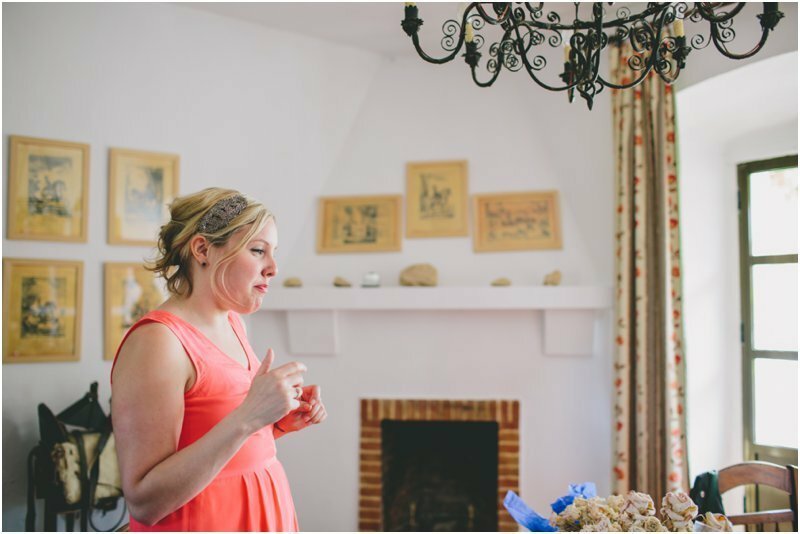 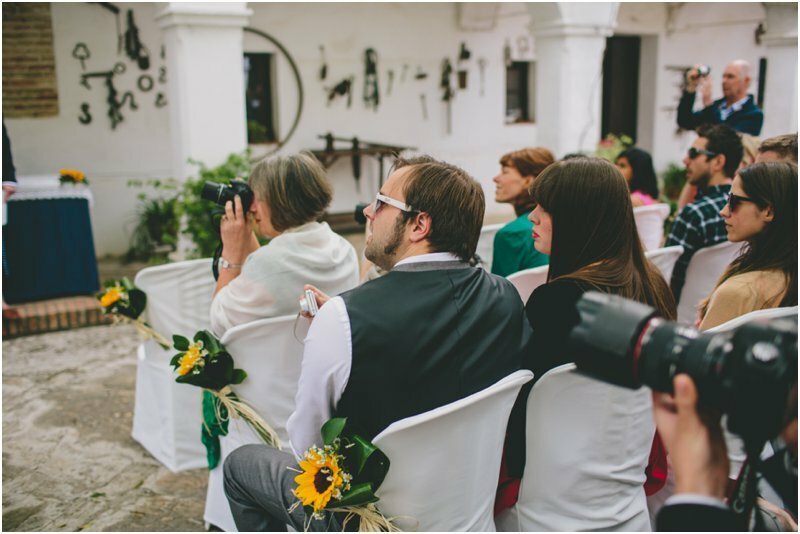 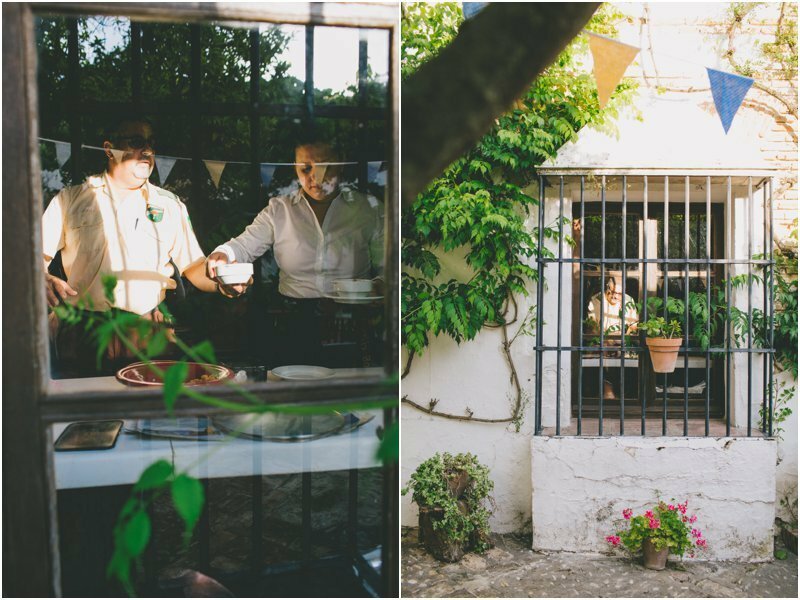 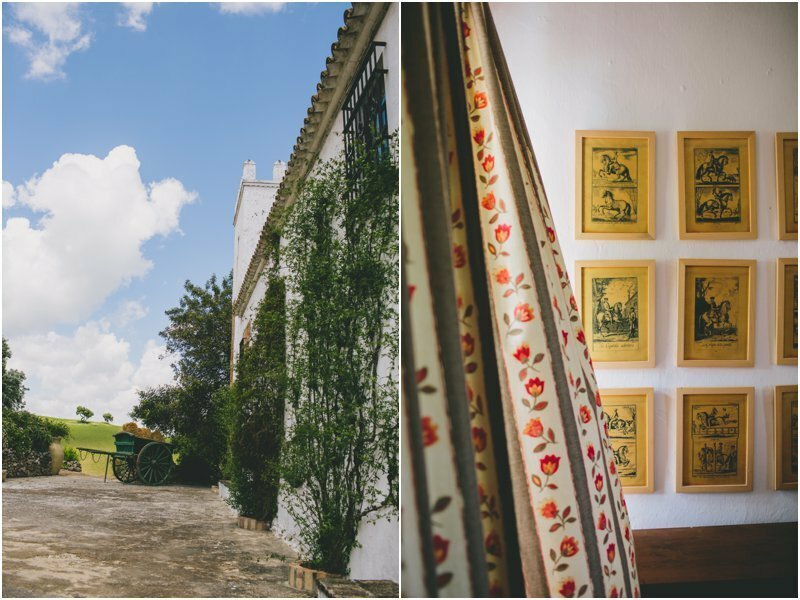 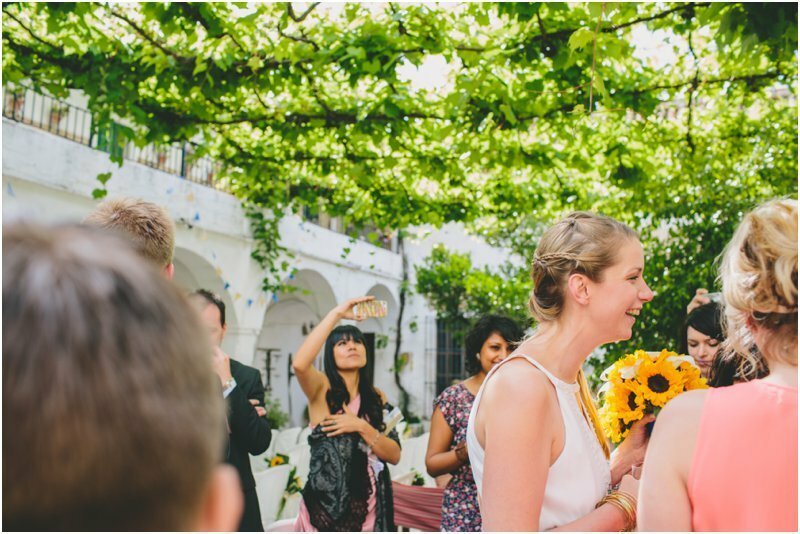 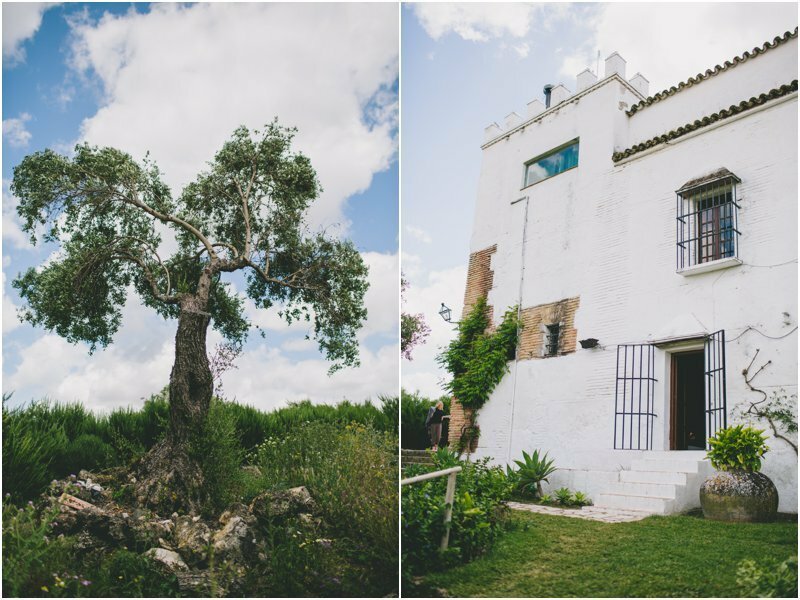 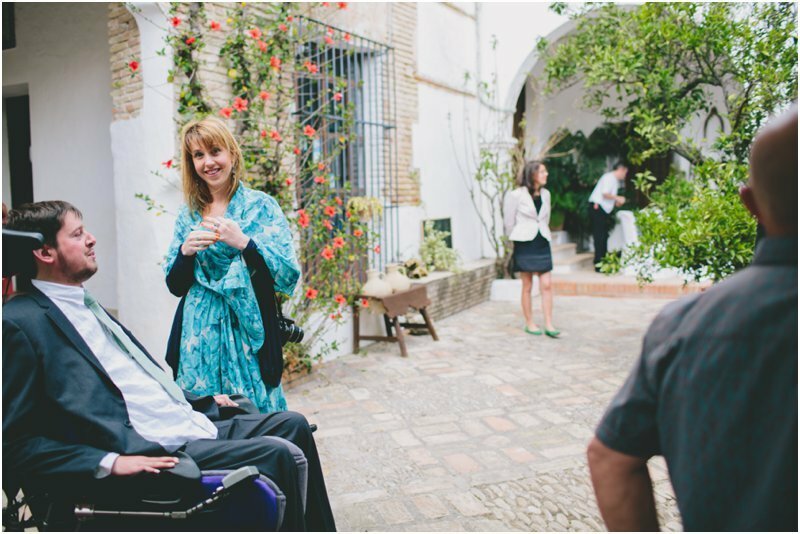 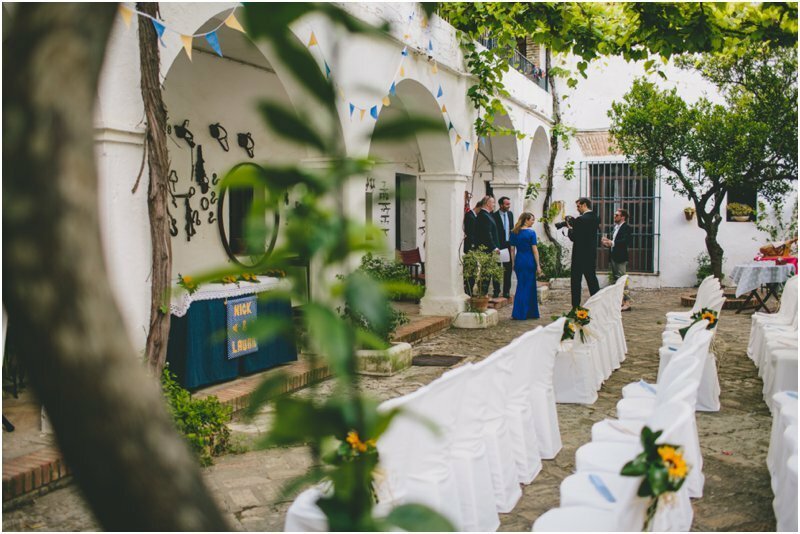 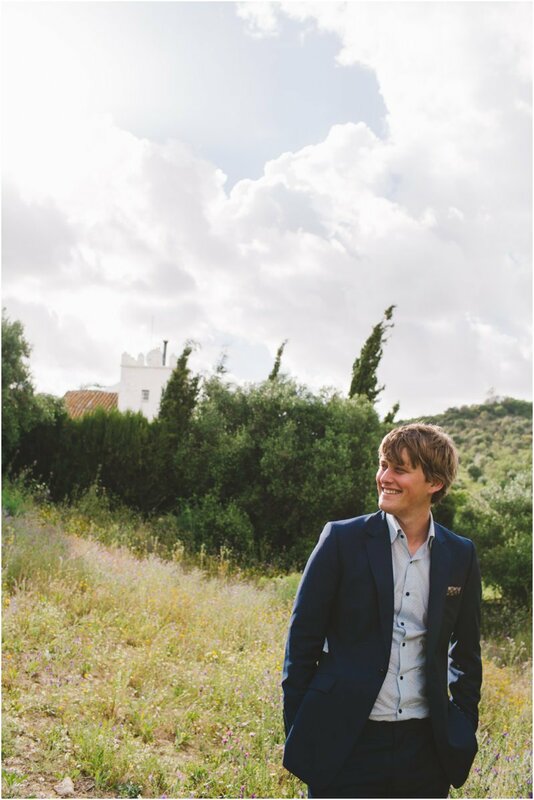 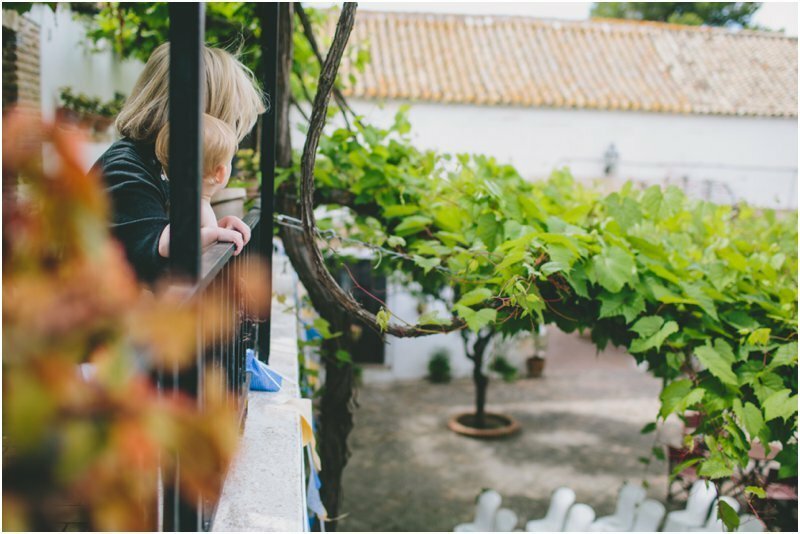 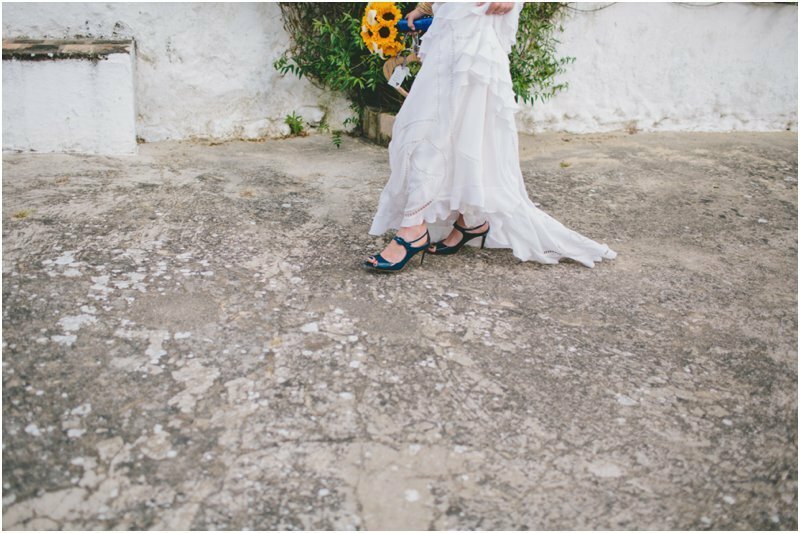 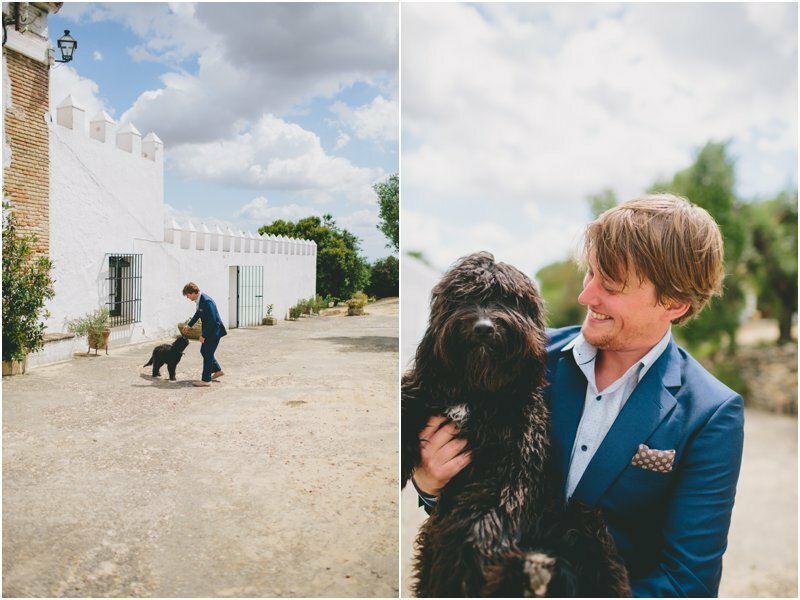 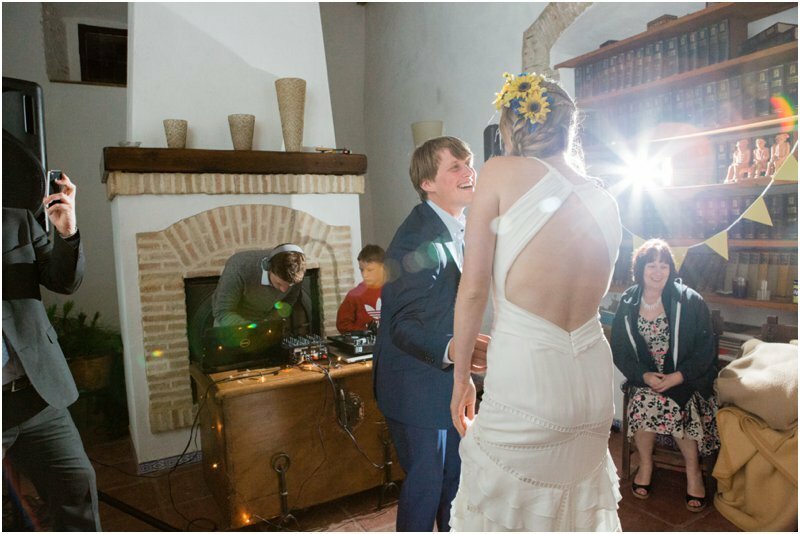 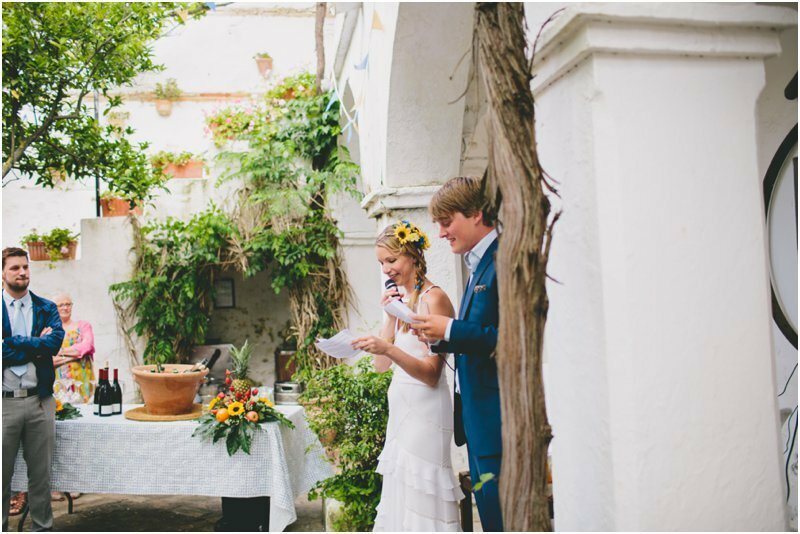 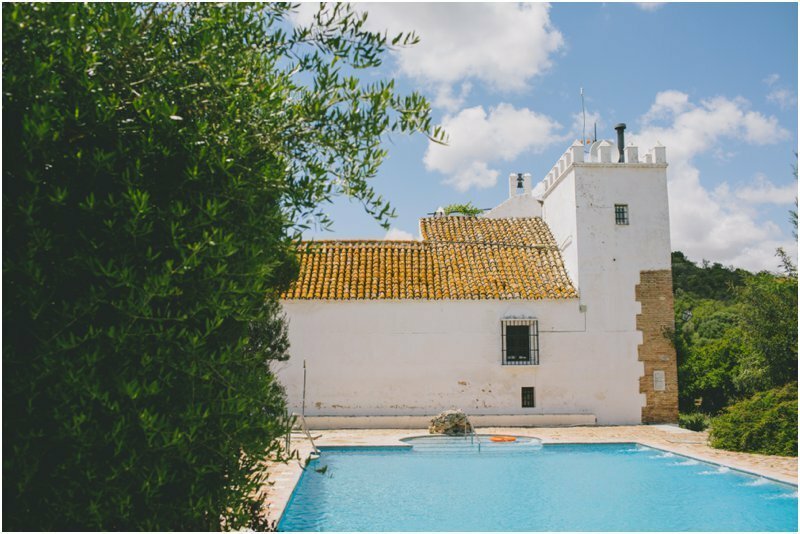 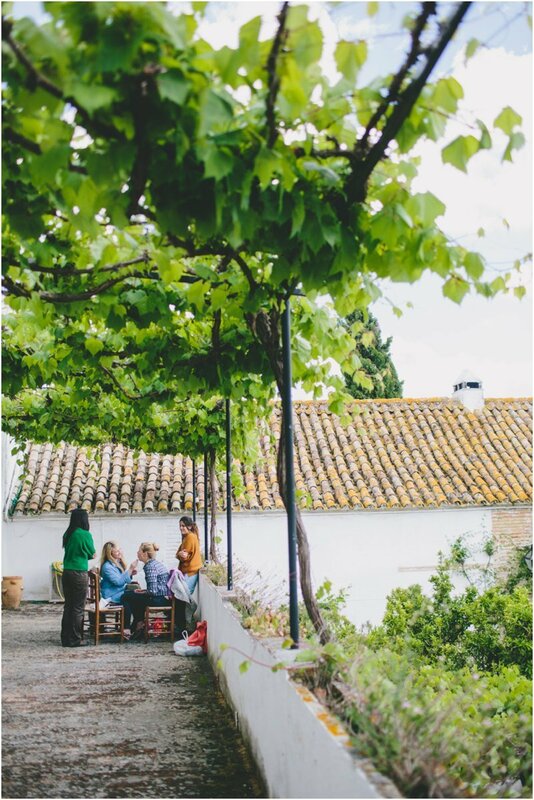 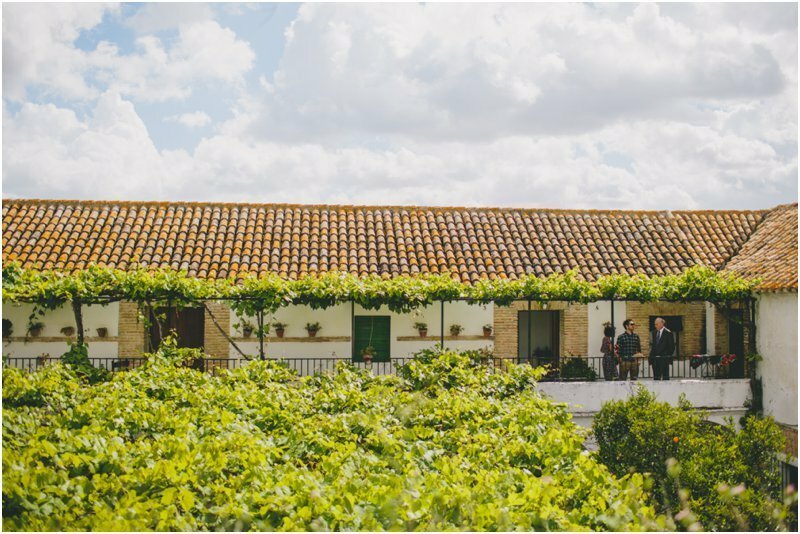 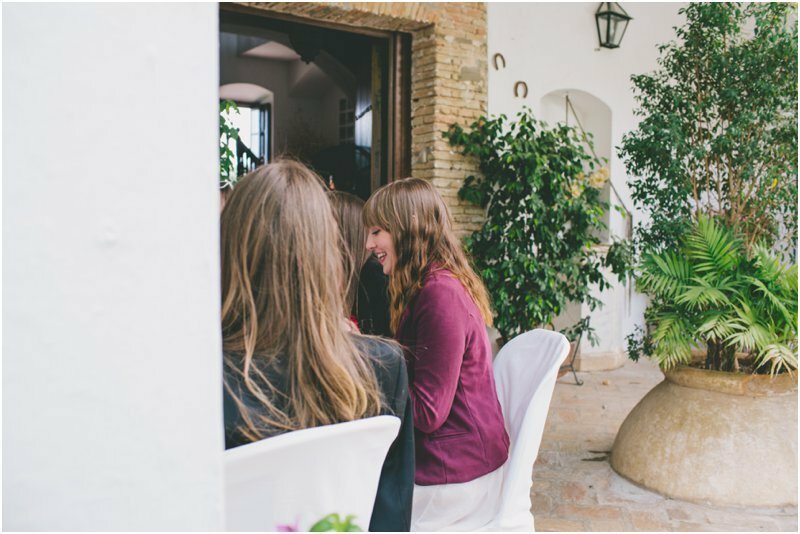 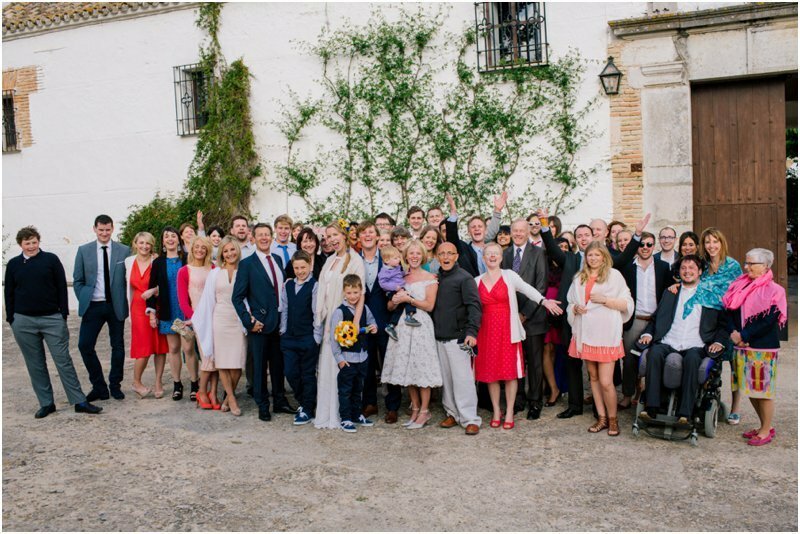 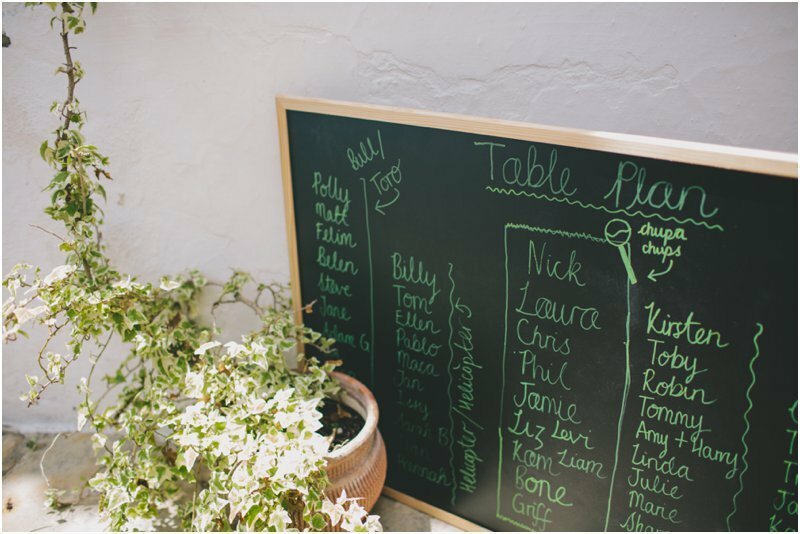 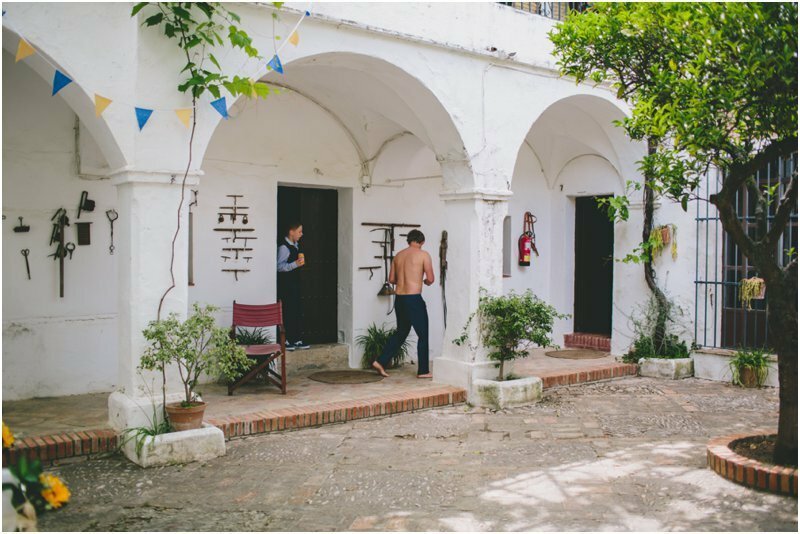 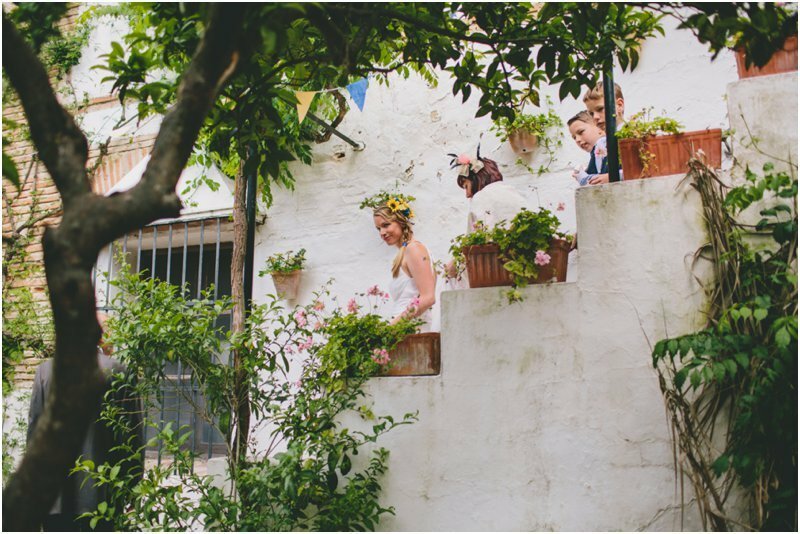 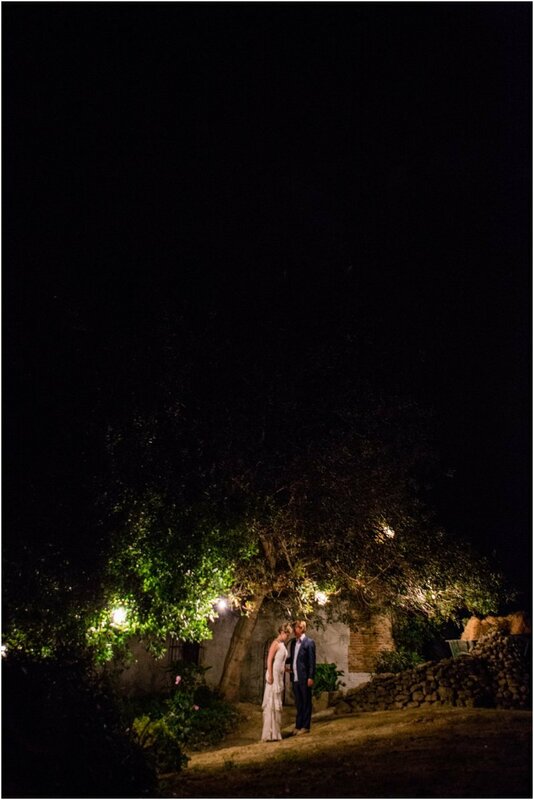 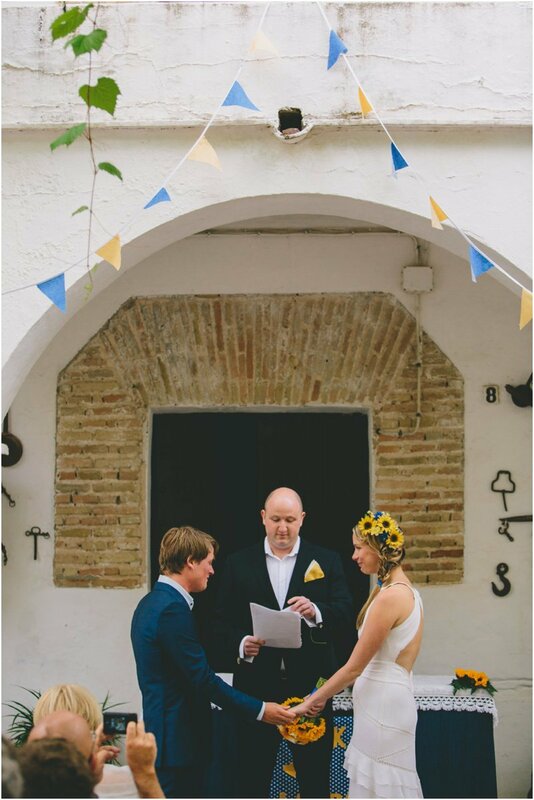 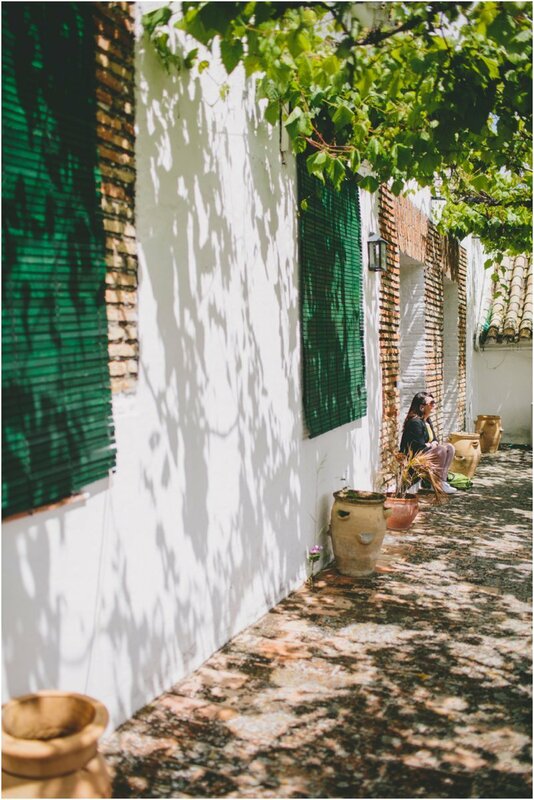 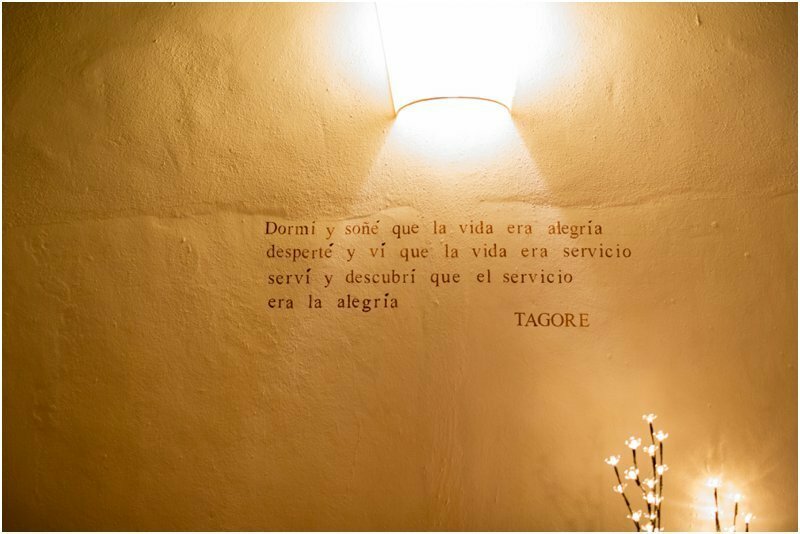 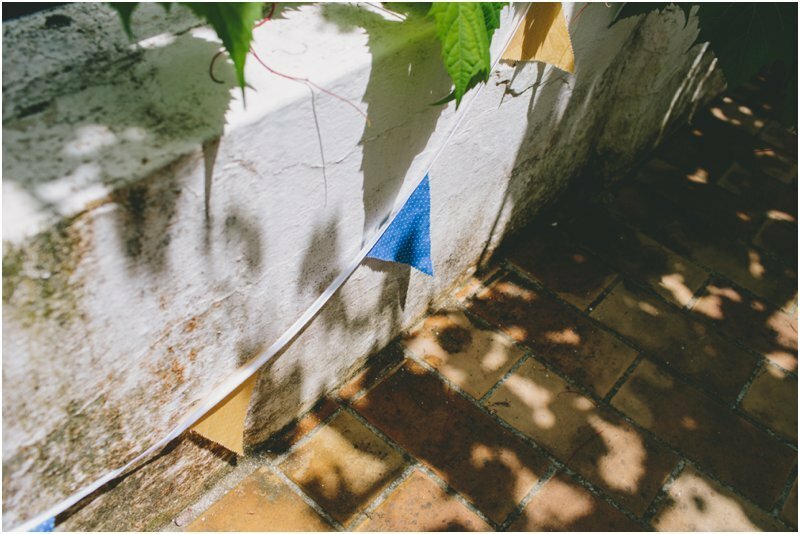 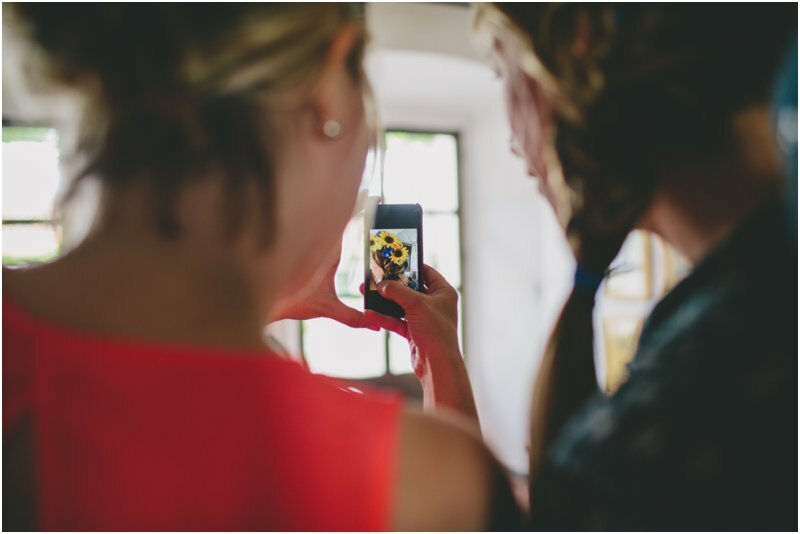 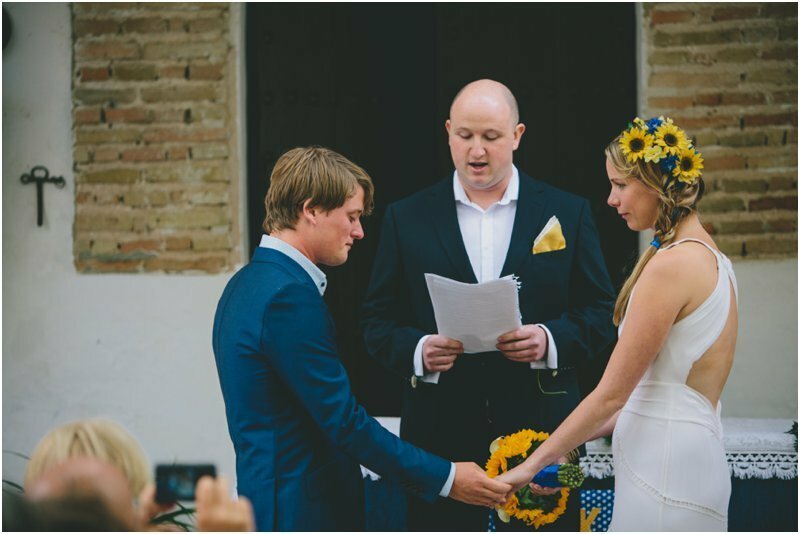 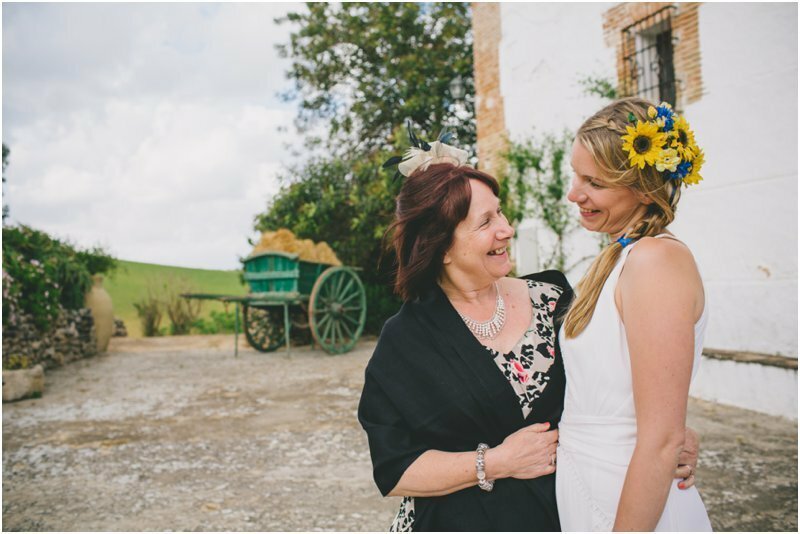 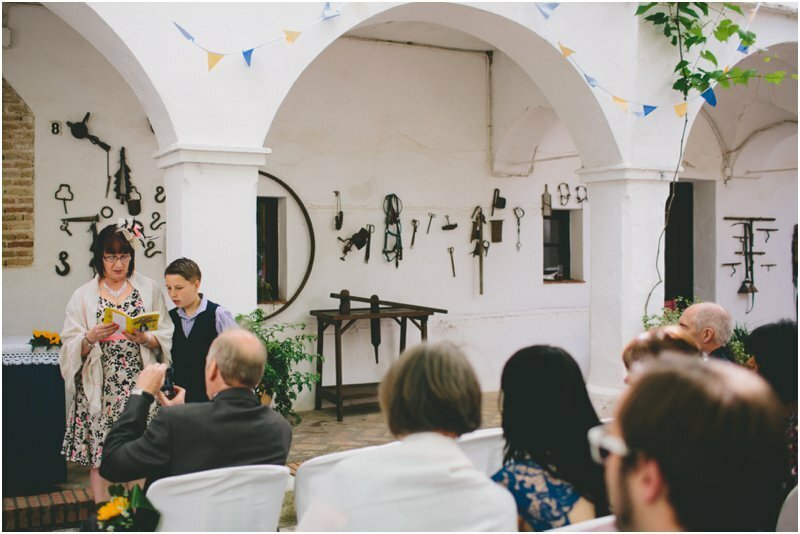 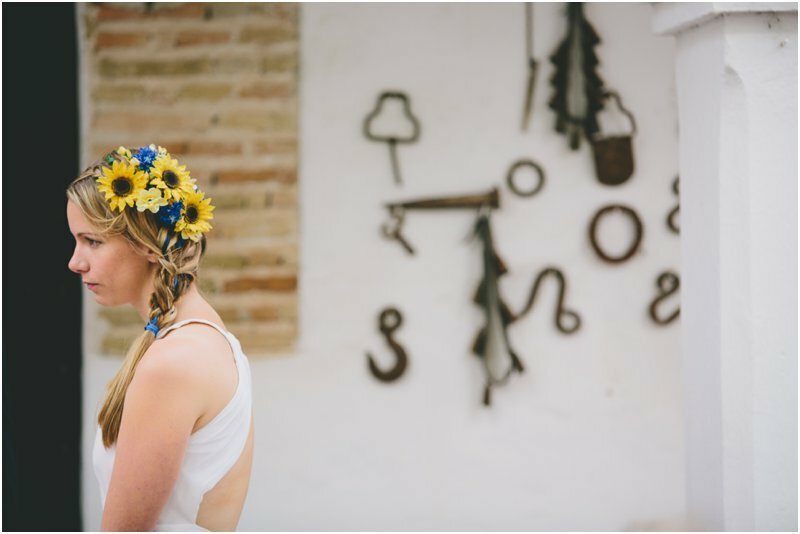 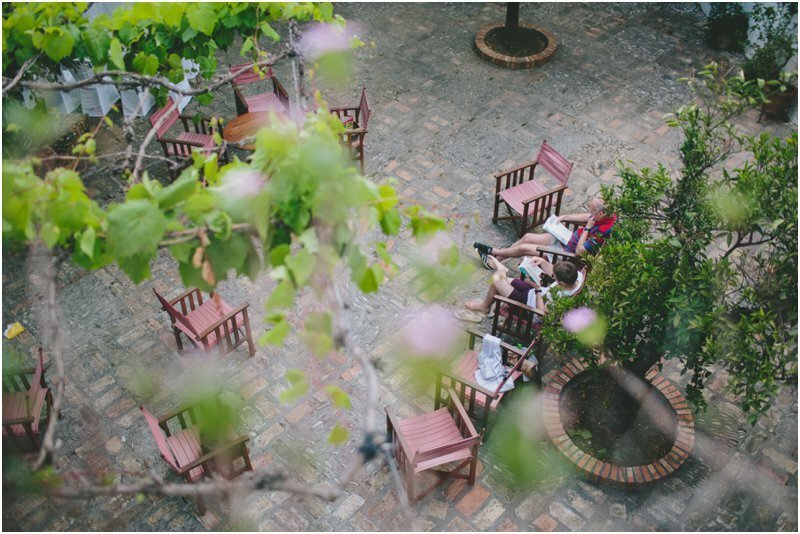 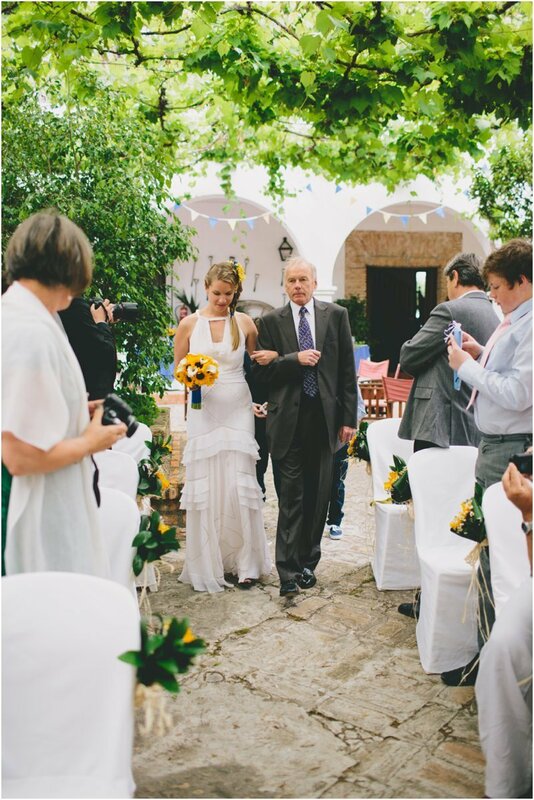 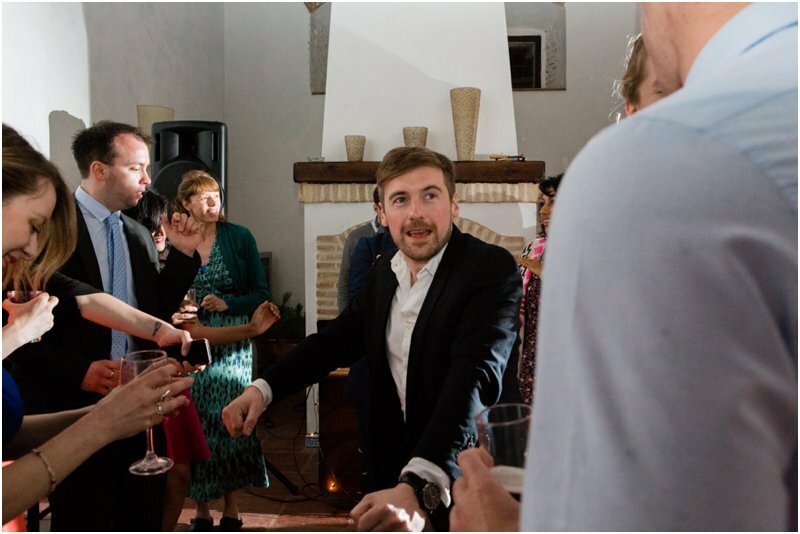 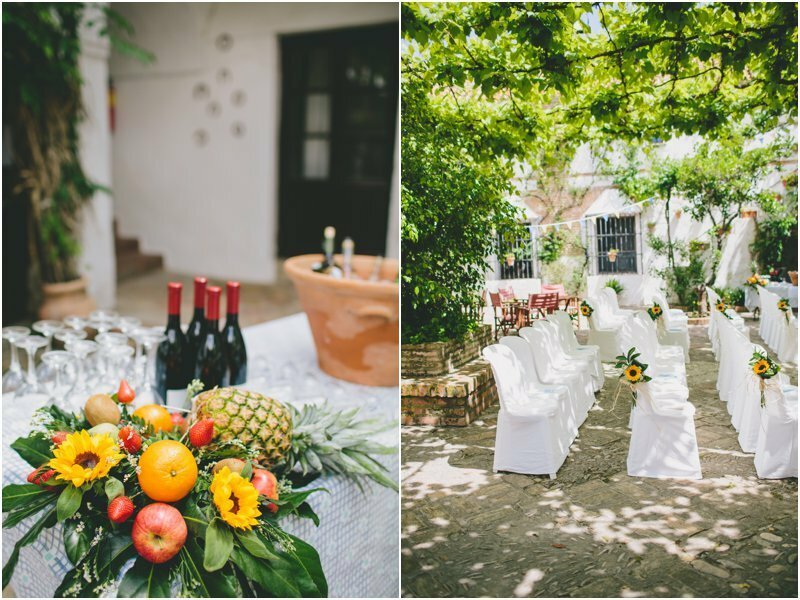 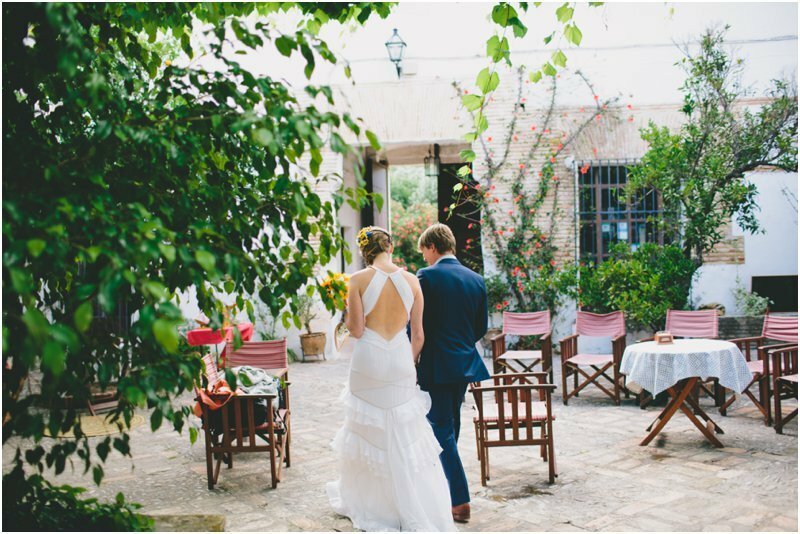 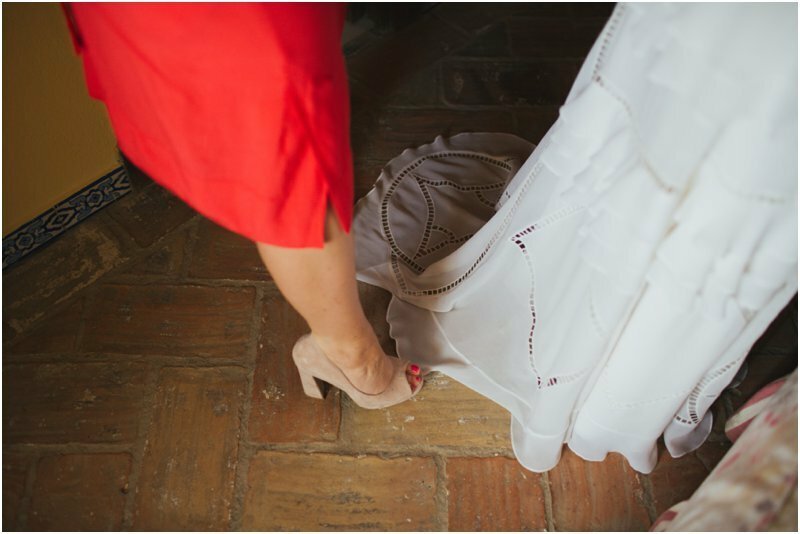 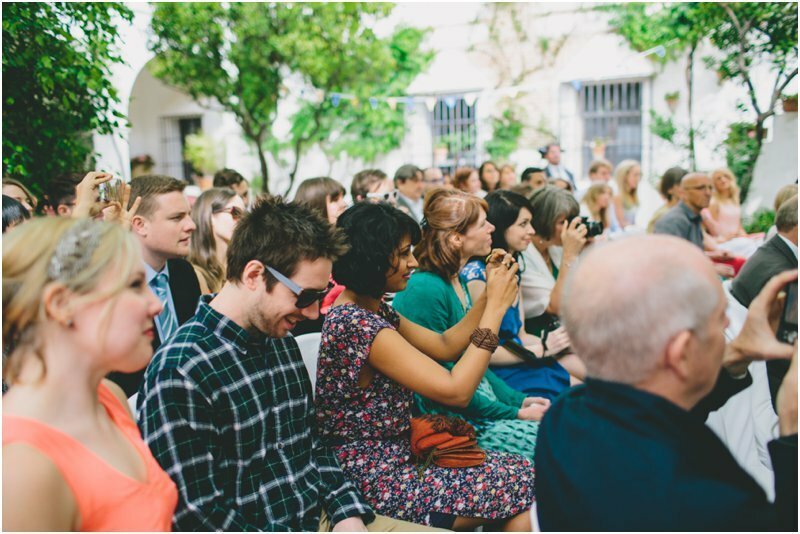 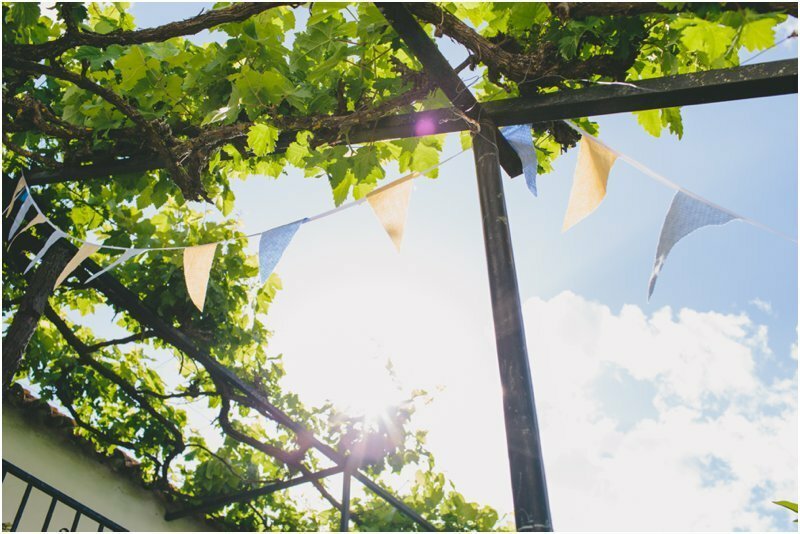 Laura and Nick have lived in Sevilla in Southern Spain for a year and wanted to host their wedding there, Spanish friends helped them to find the stunning Cortijo Barranco which they immediately fell in love with and thought perfect for their low key ceremony. 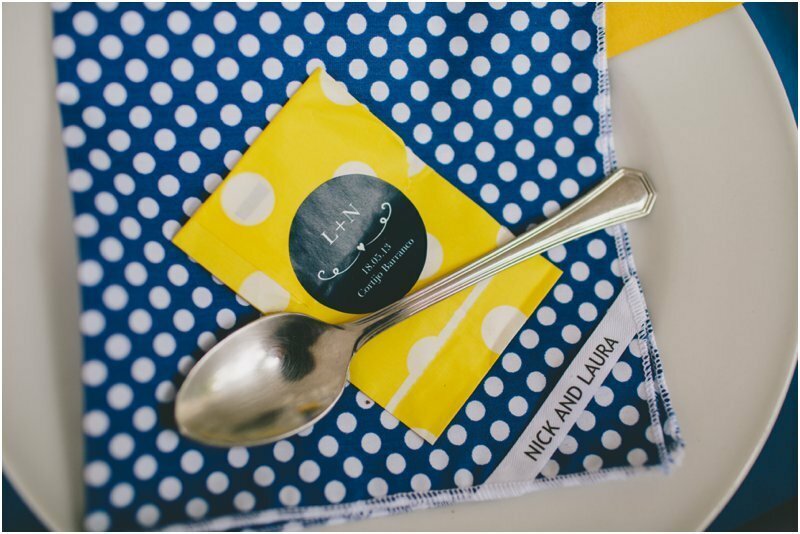 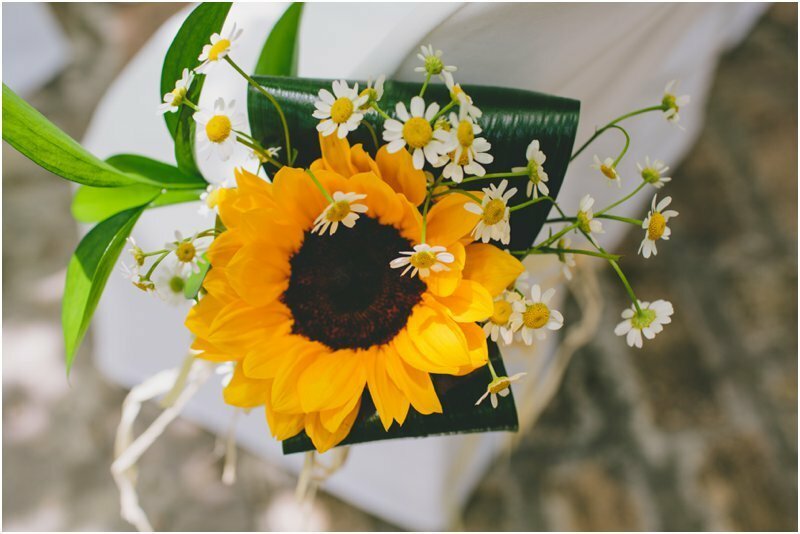 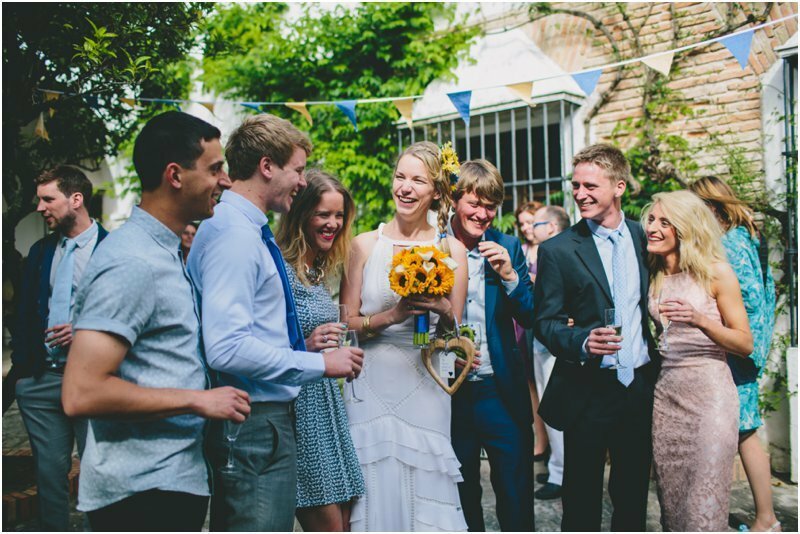 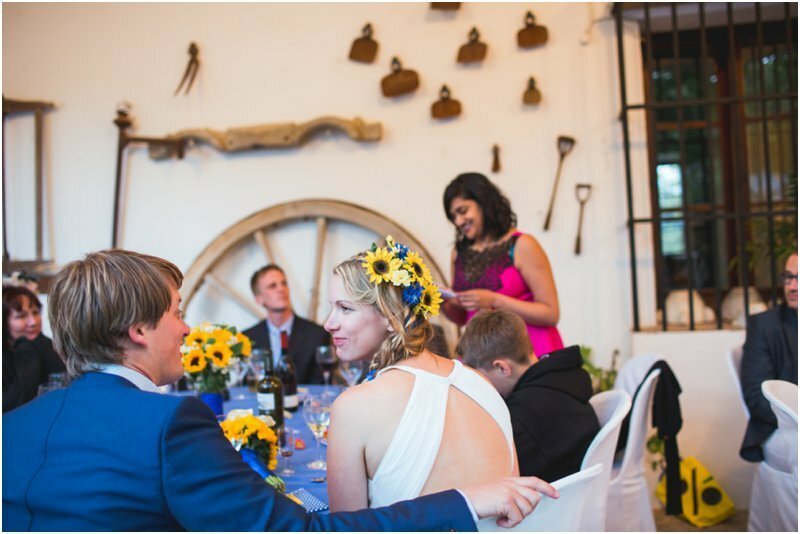 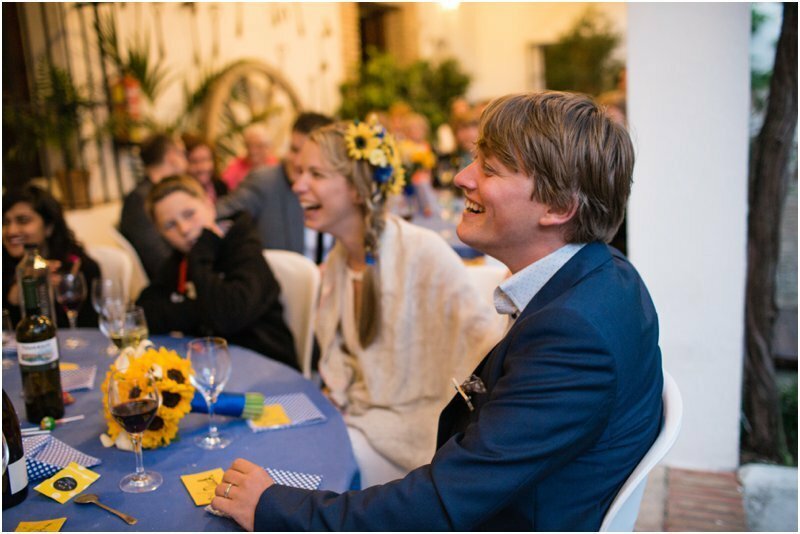 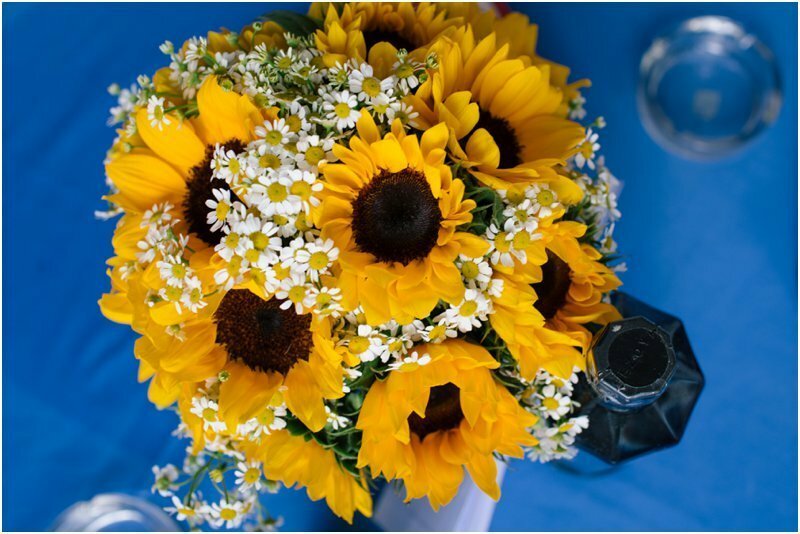 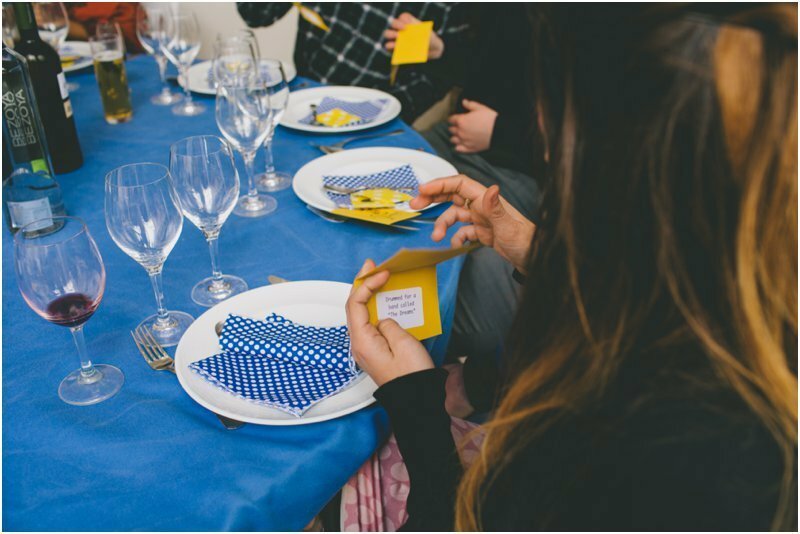 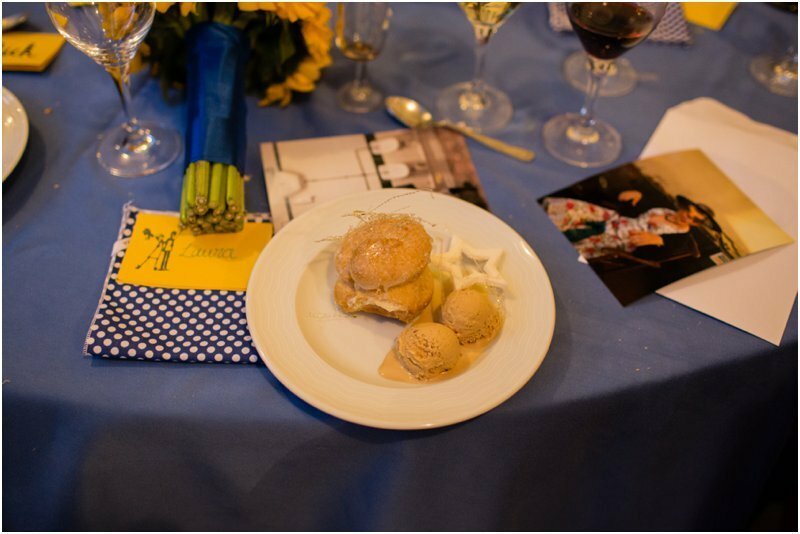 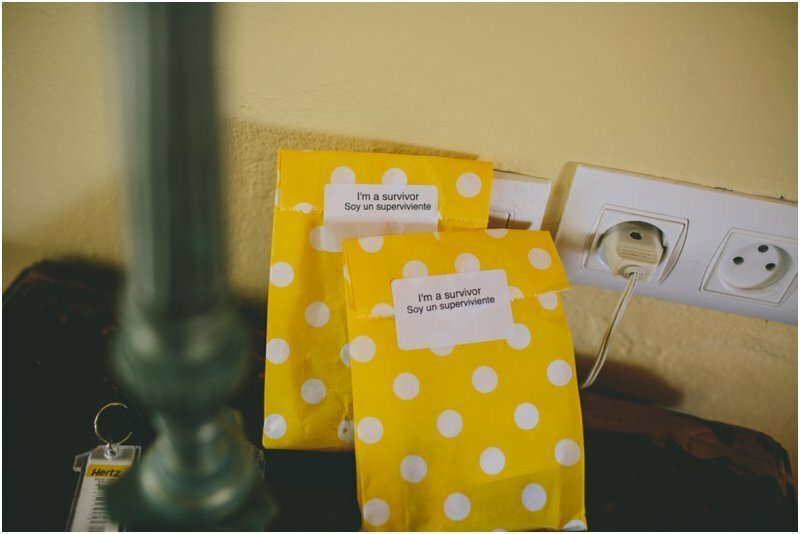 Â Laura chose Sunflowers as her main flowers and decor inspiration, given that they should have been surrounded by them! 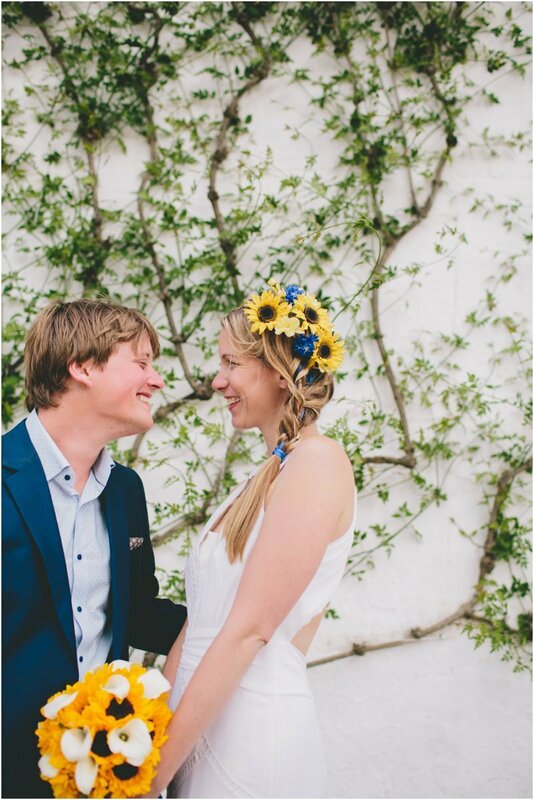 they still looked beautiful and Laura looked utterly amazing in her bespoke sunflower headpiece by Anna Dominoes and pleated hair. 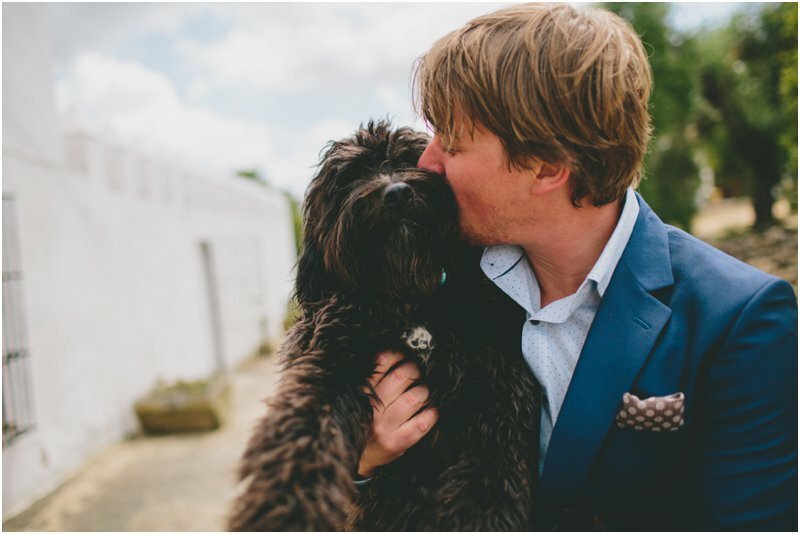 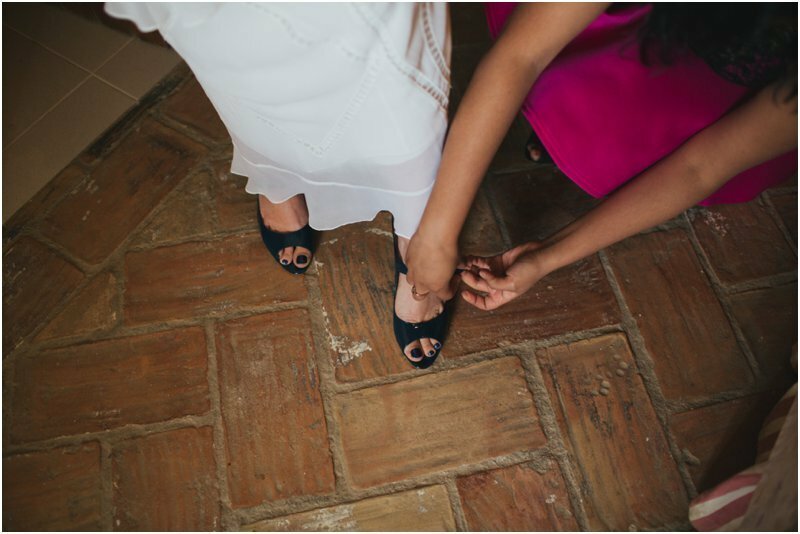 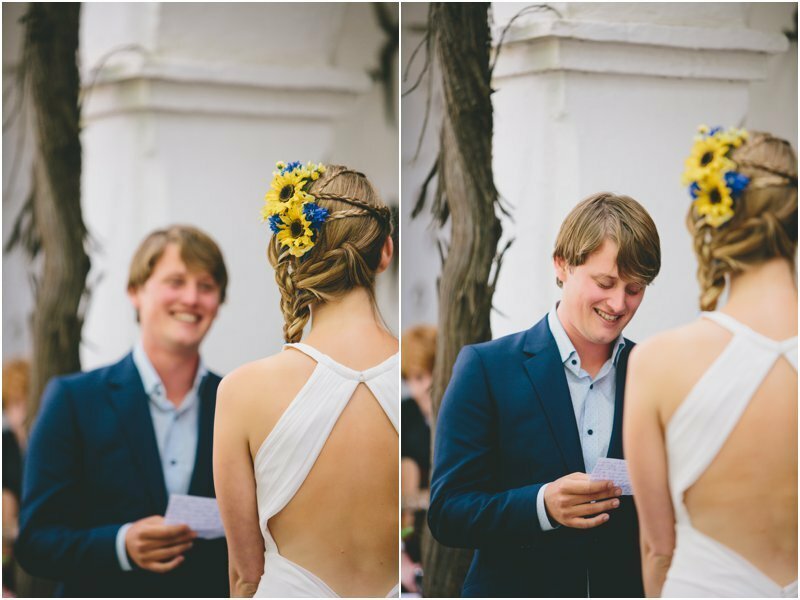 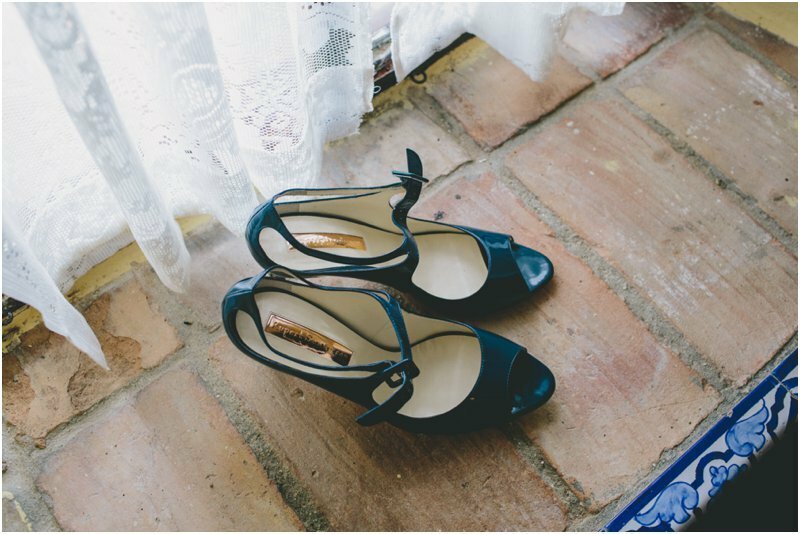 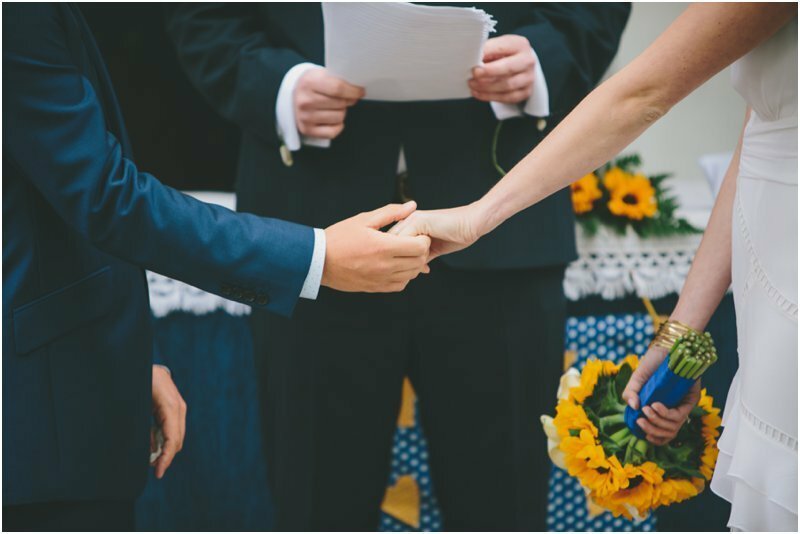 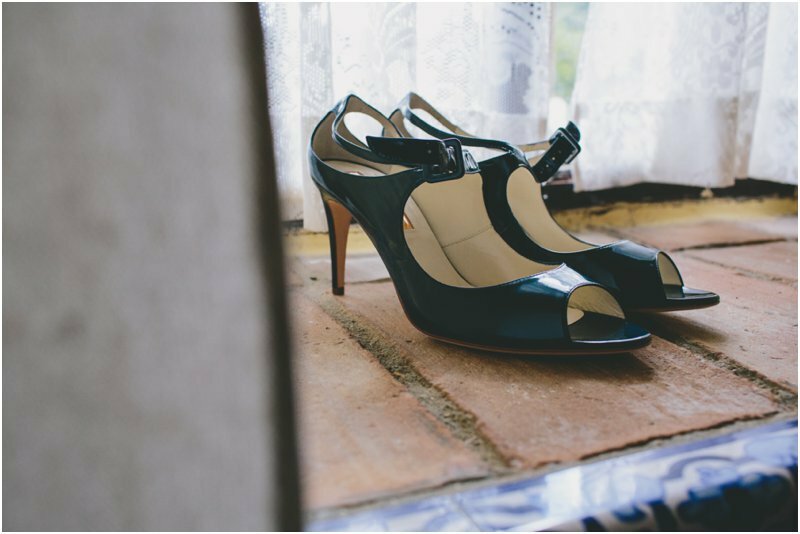 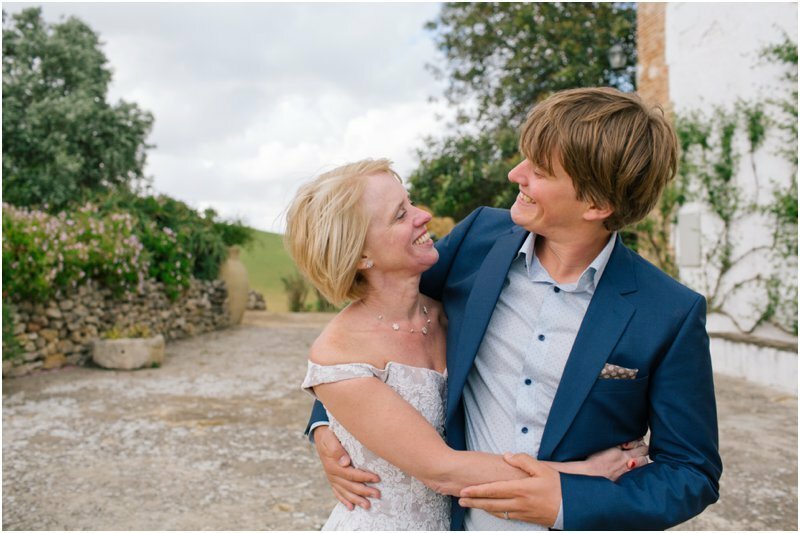 Â Laura’s Temperley dress was just beautiful with stunning detail and suited the look and feel of their wedding, along with Nick’s rather dapper Navy Reiss suit. 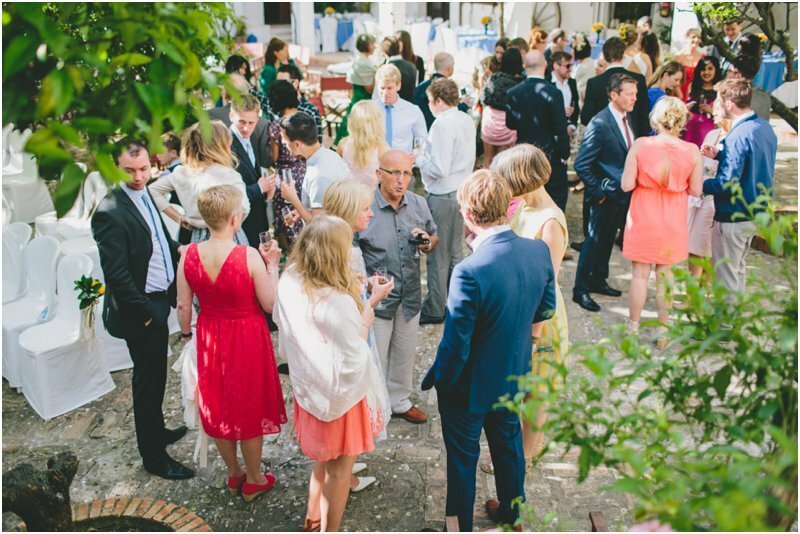 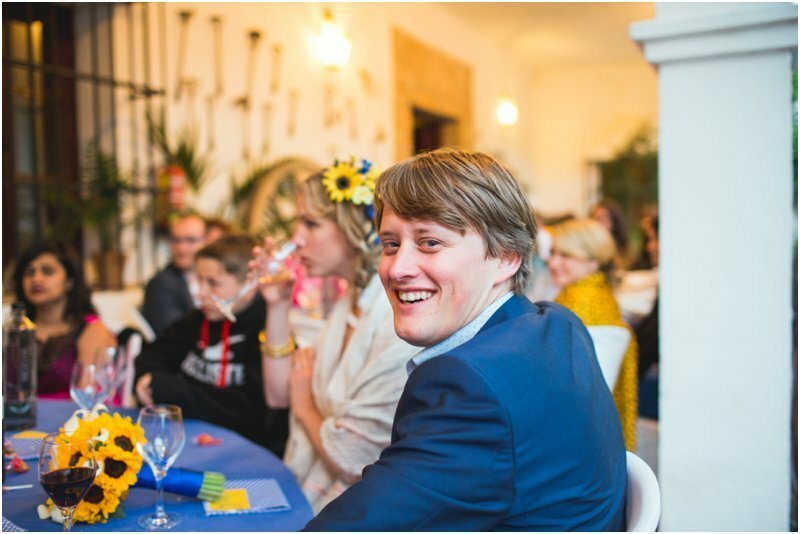 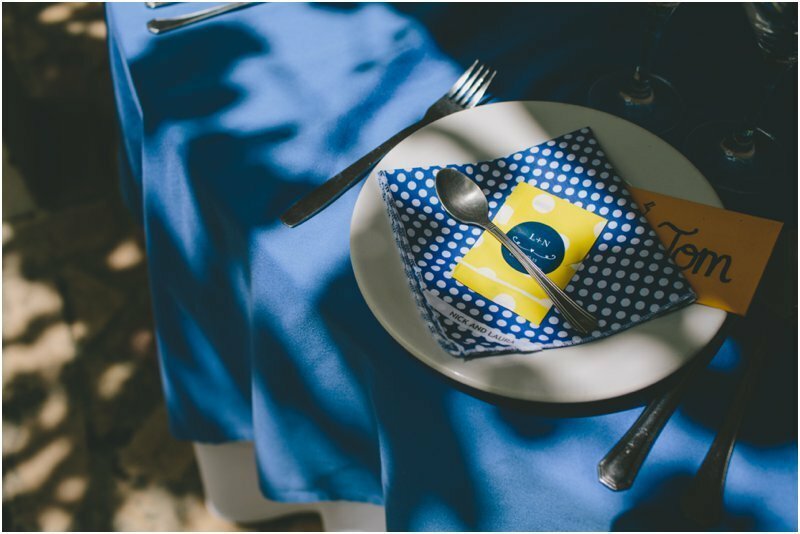 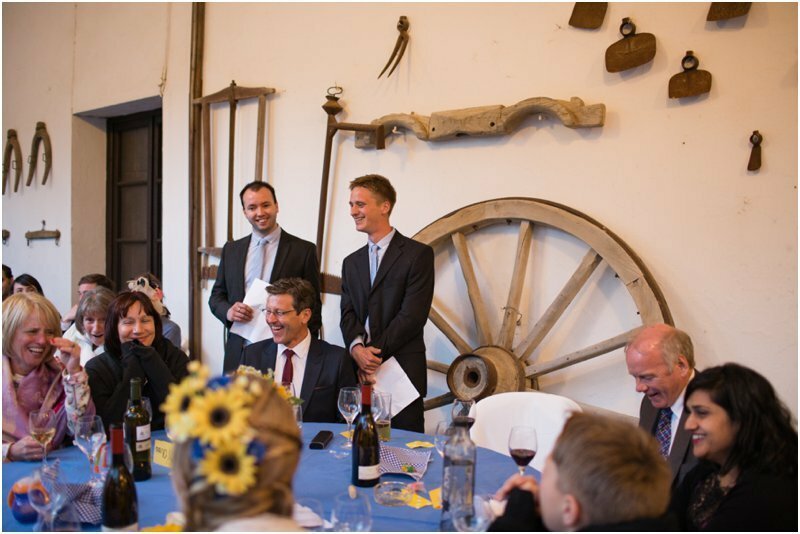 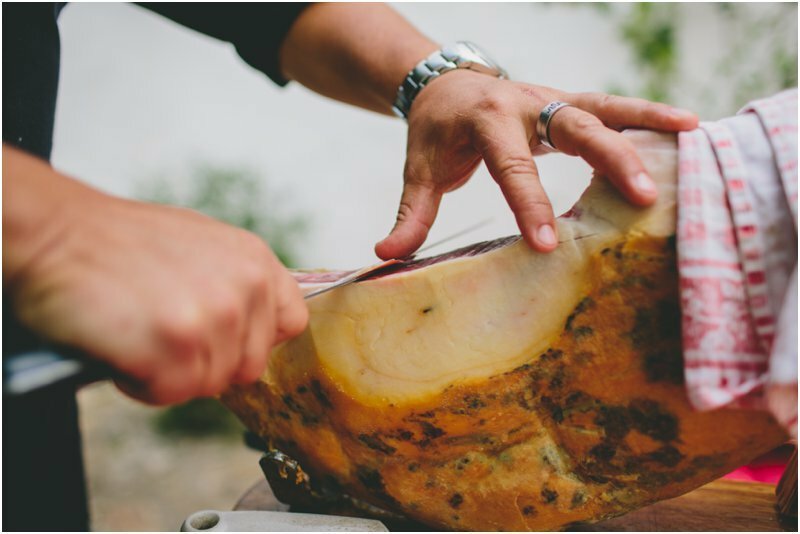 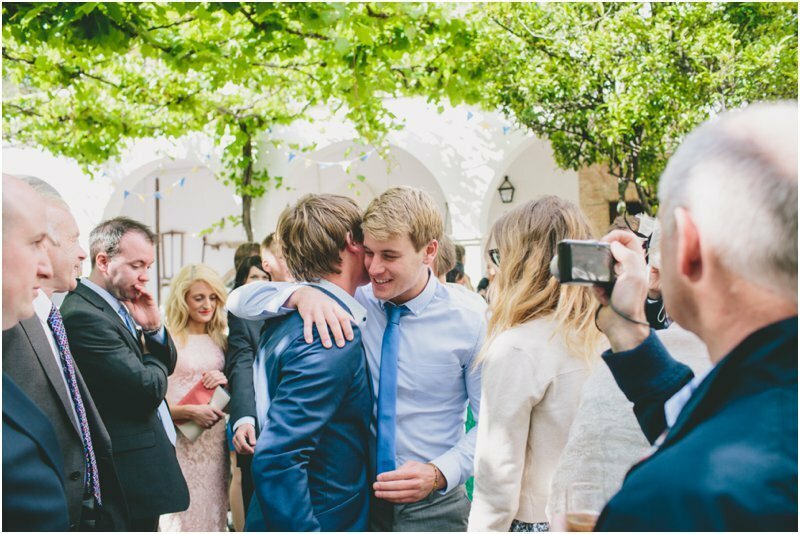 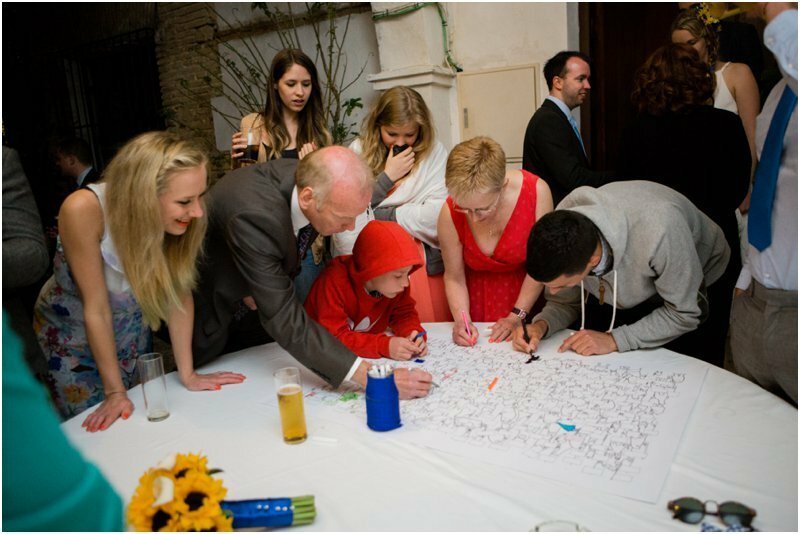 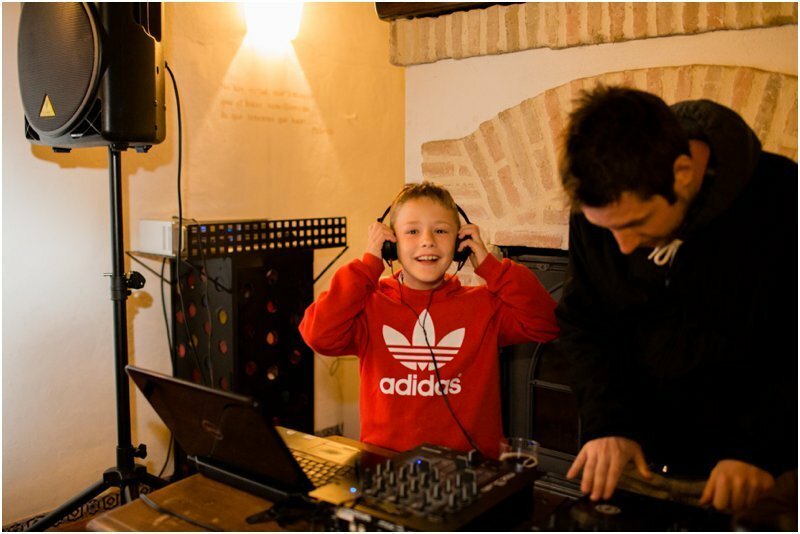 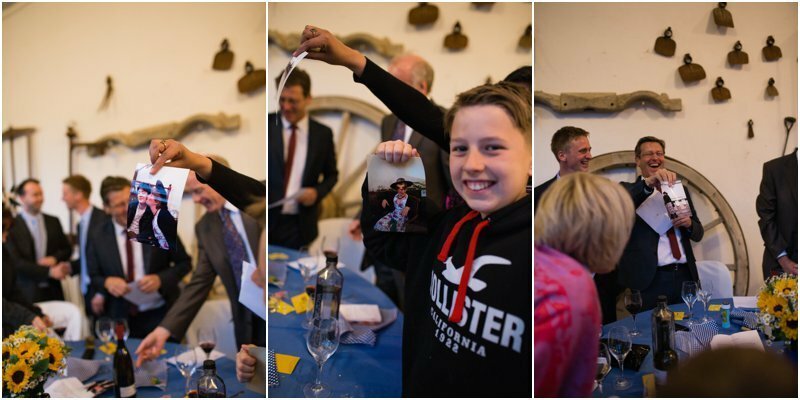 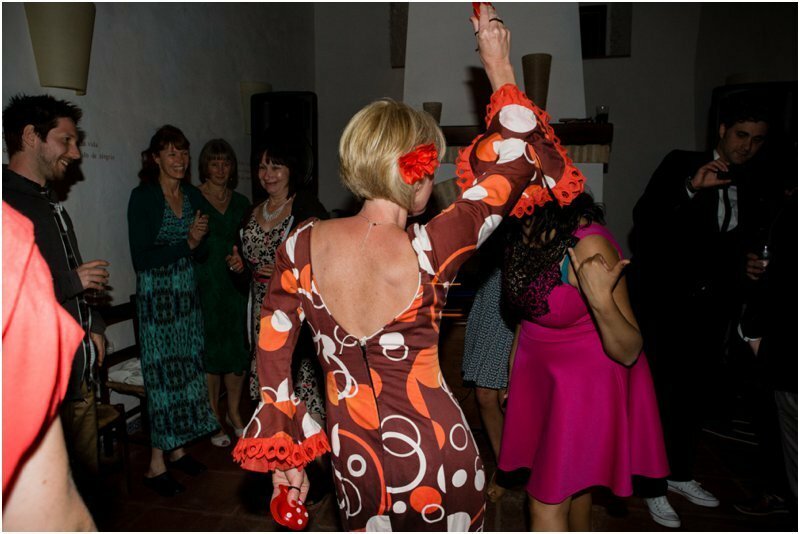 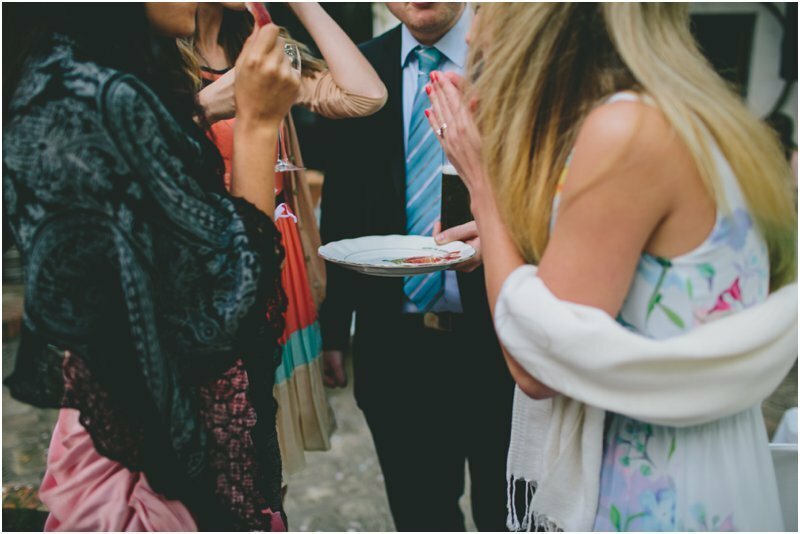 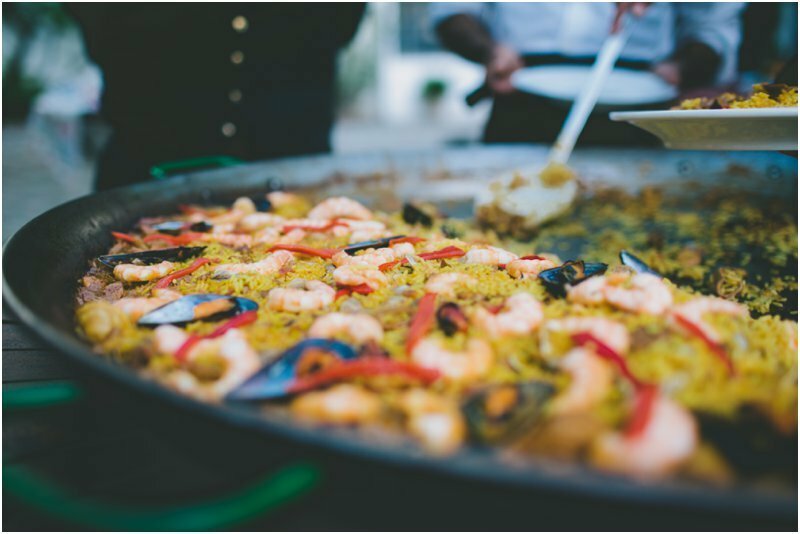 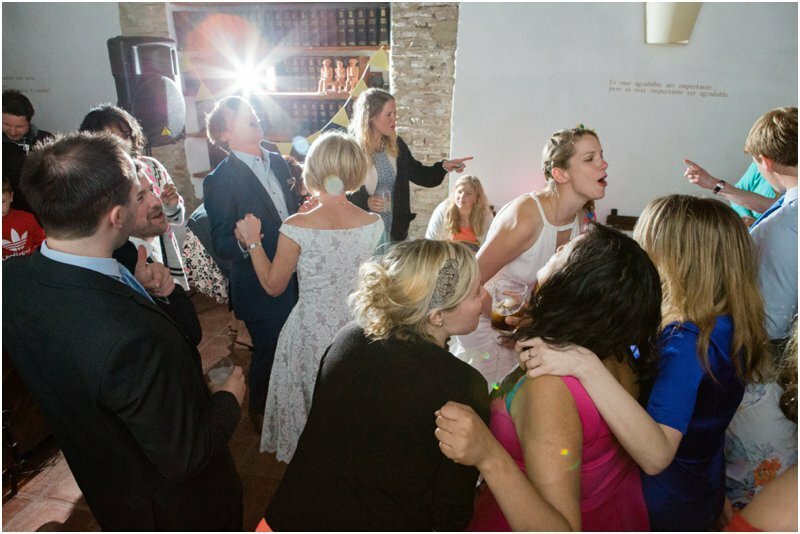 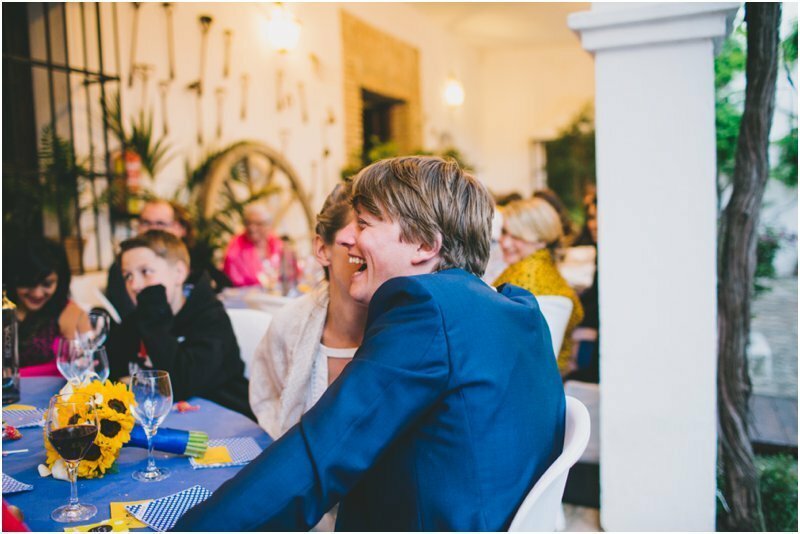 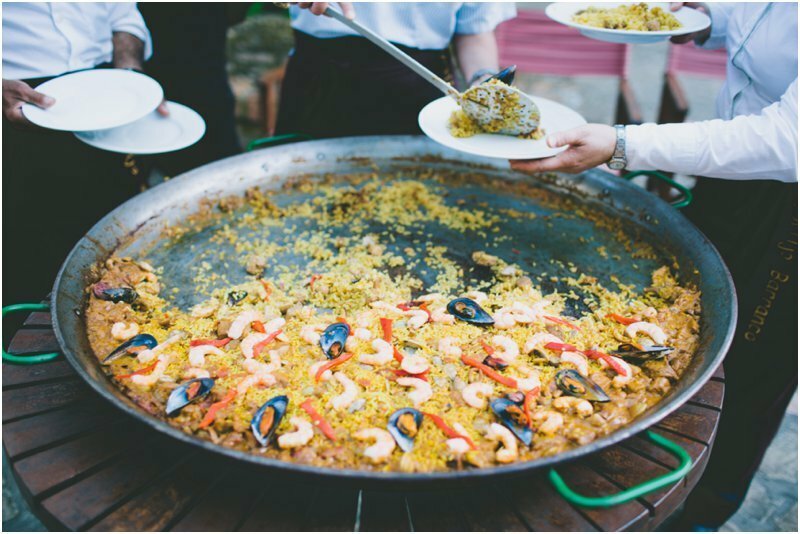 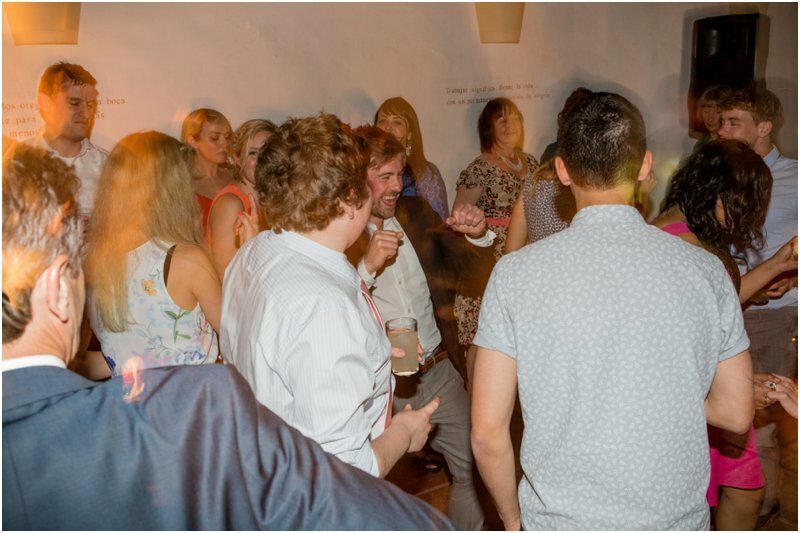 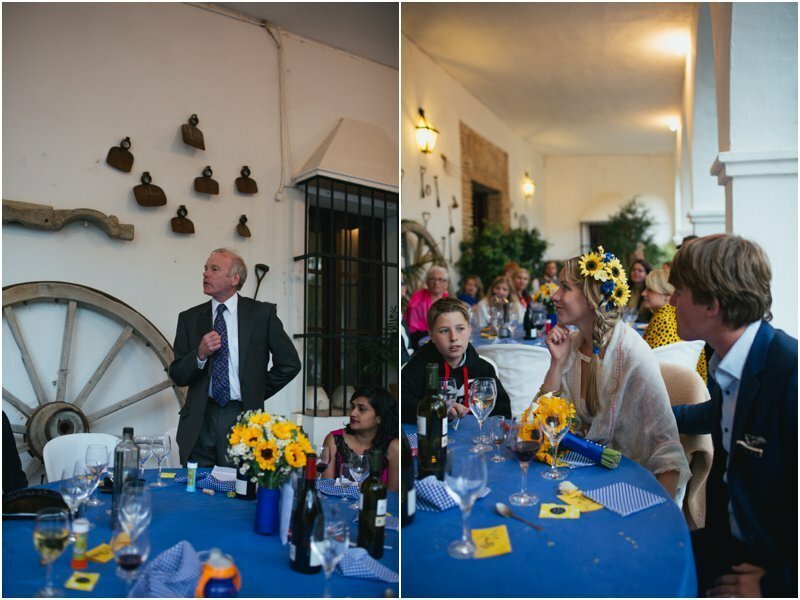 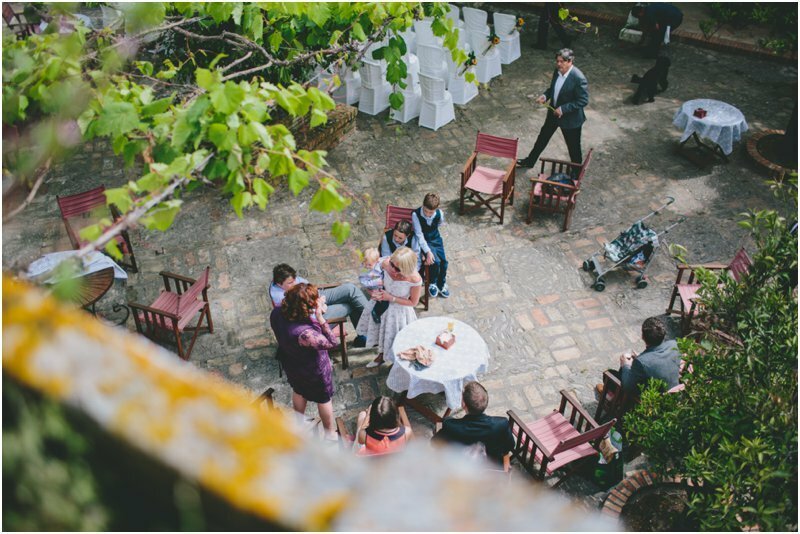 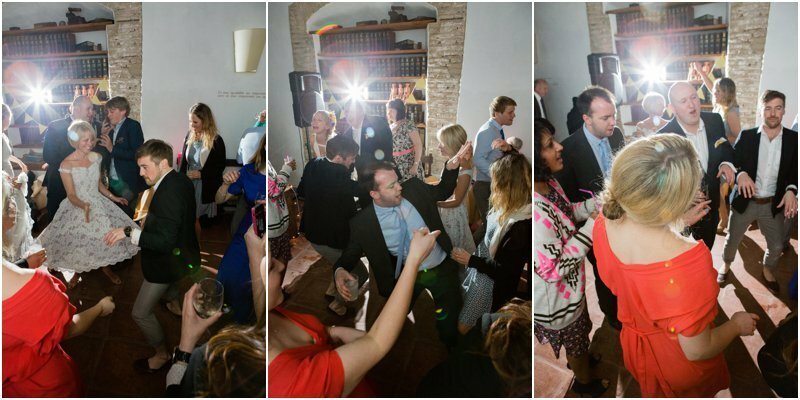 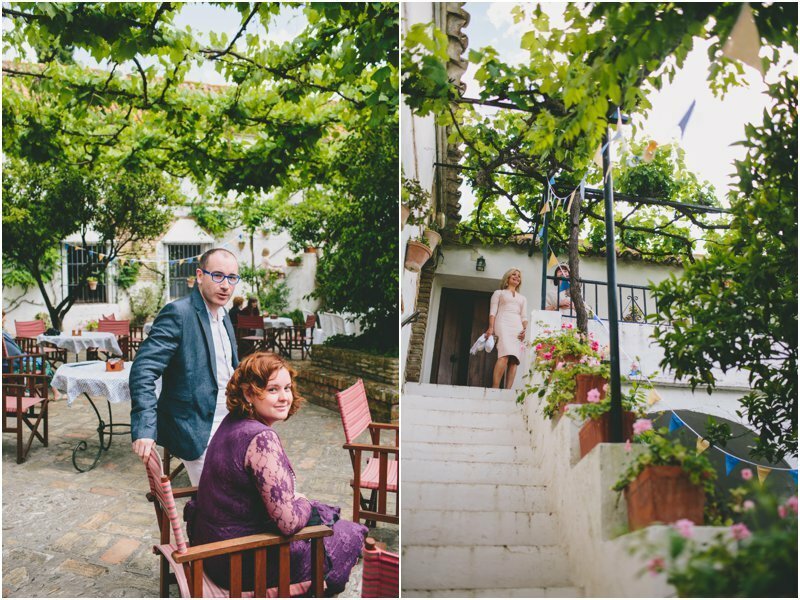 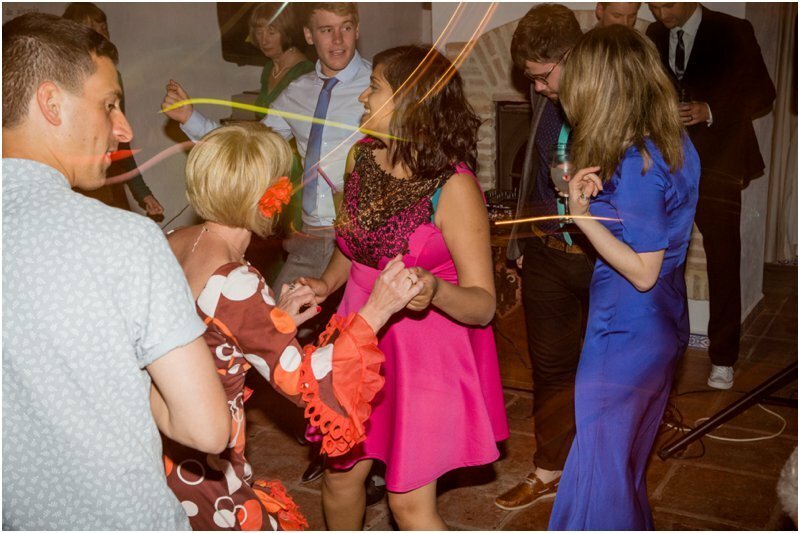 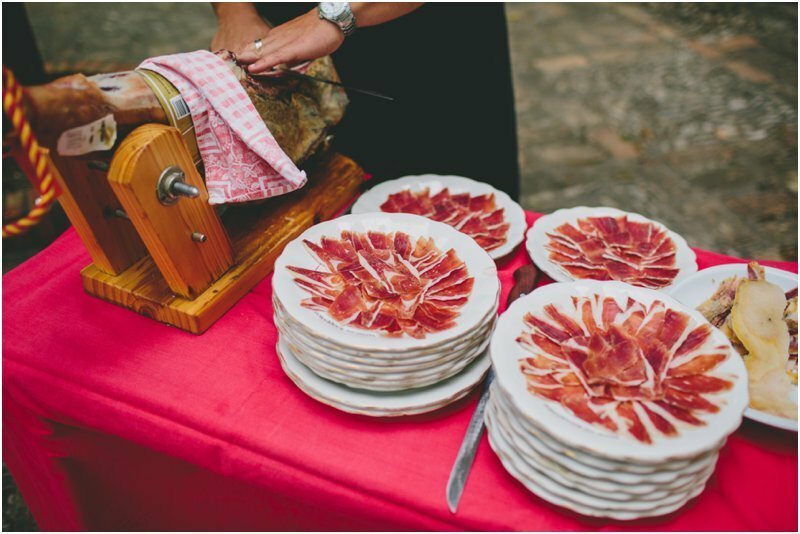 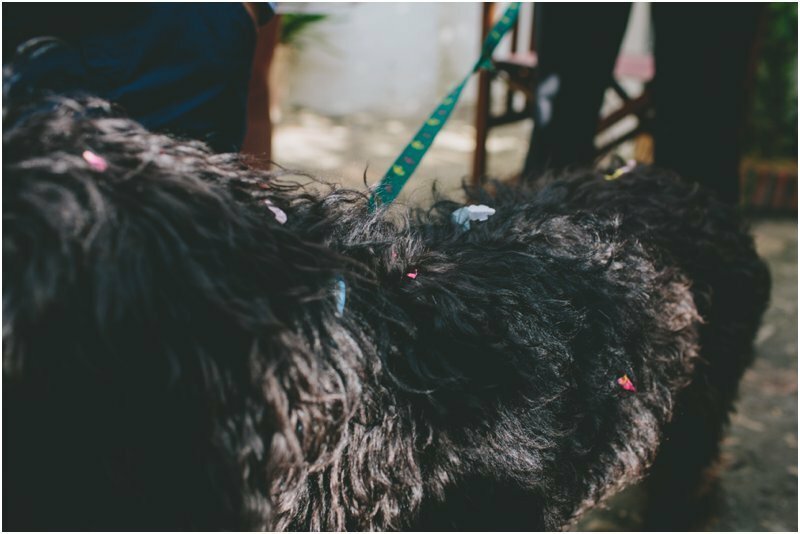 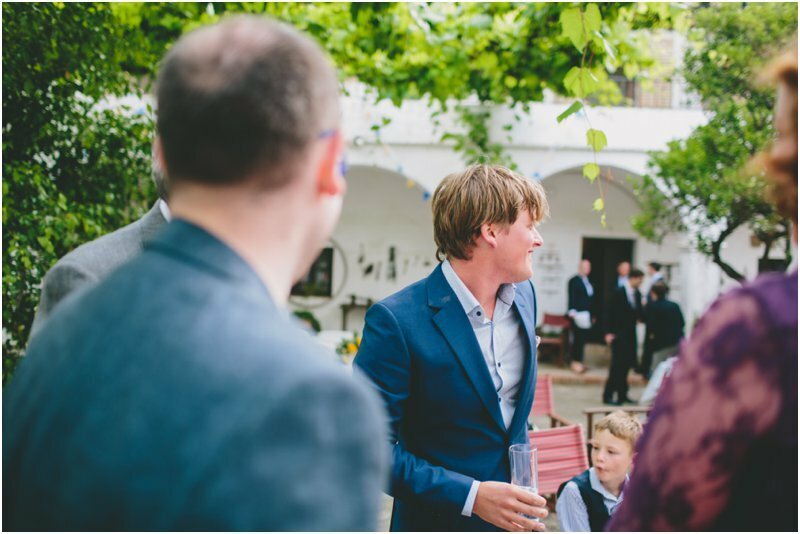 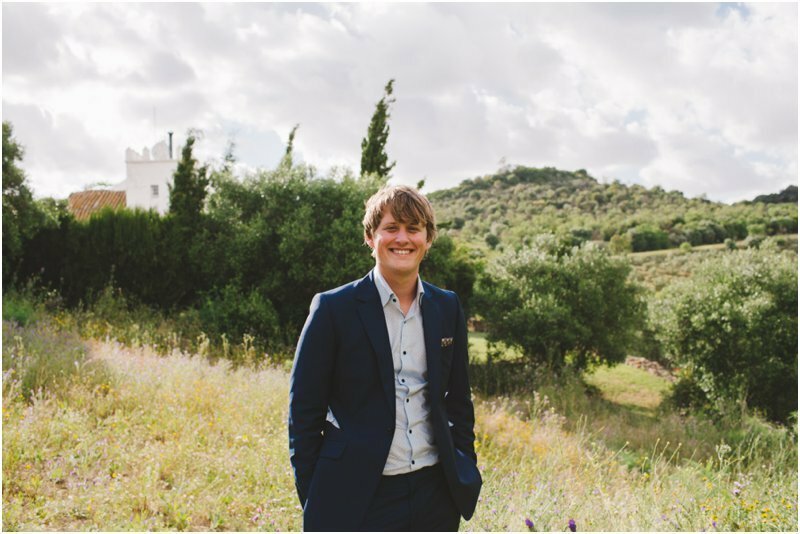 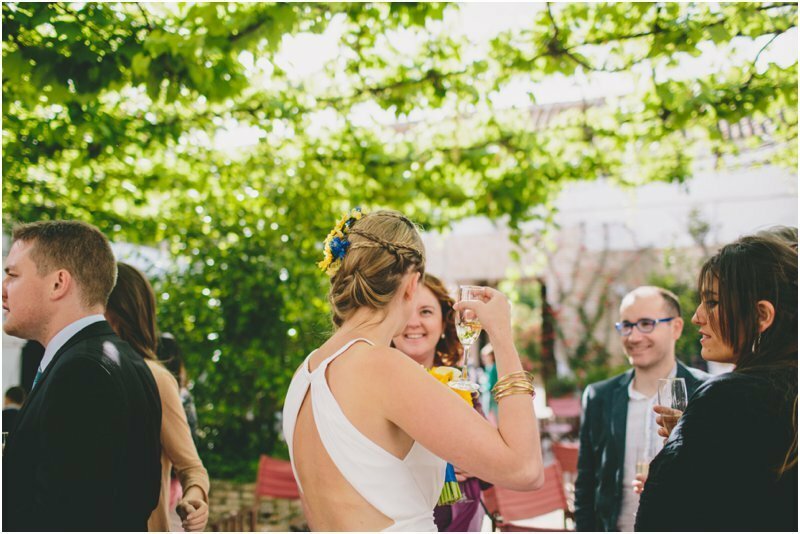 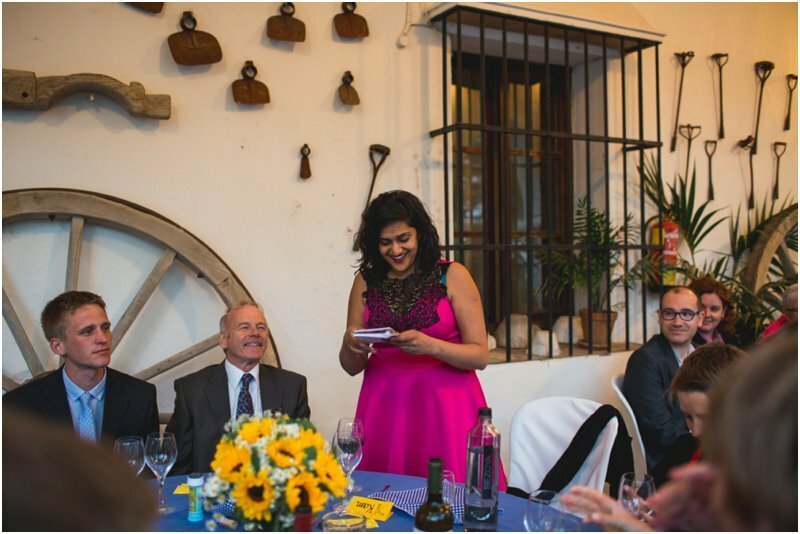 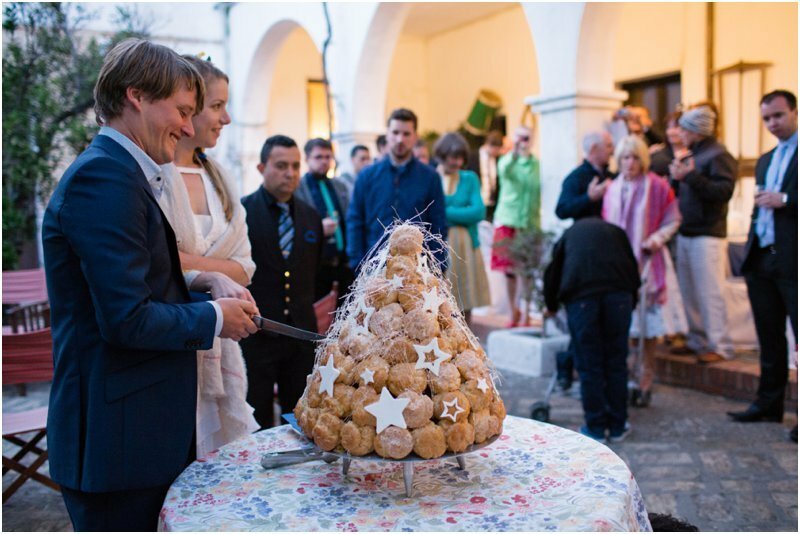 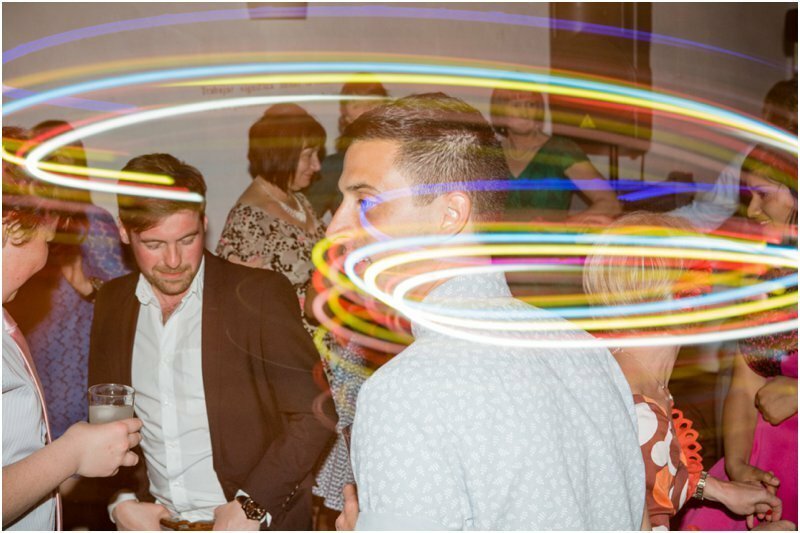 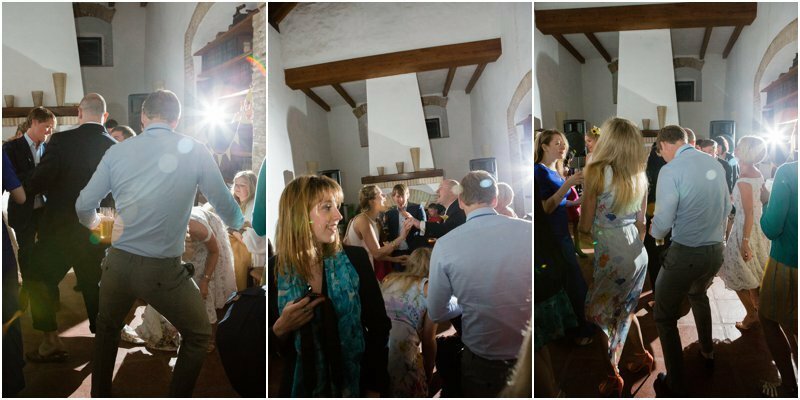 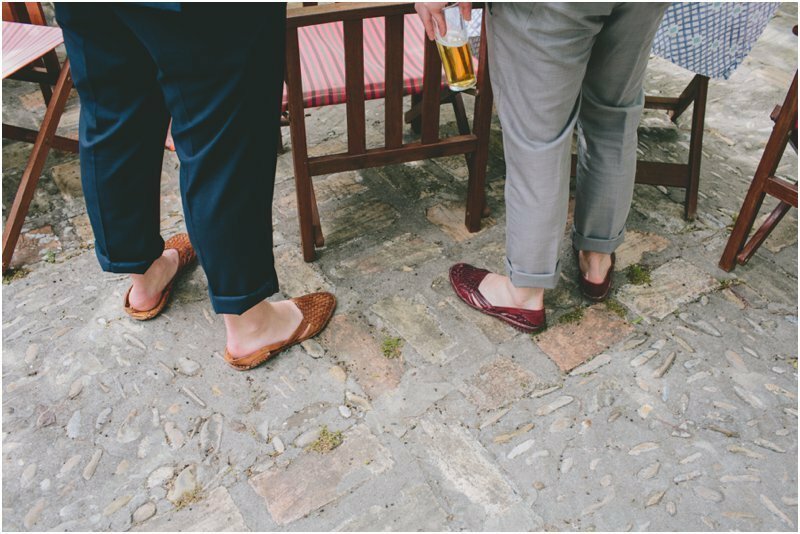 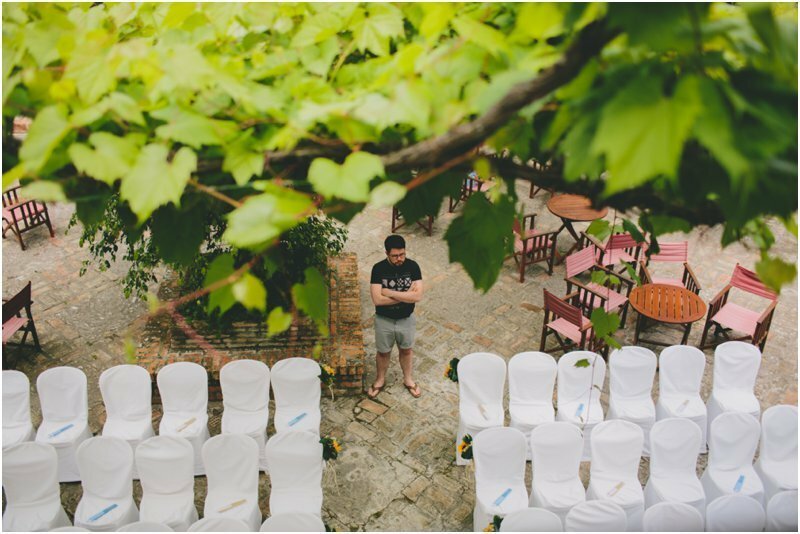 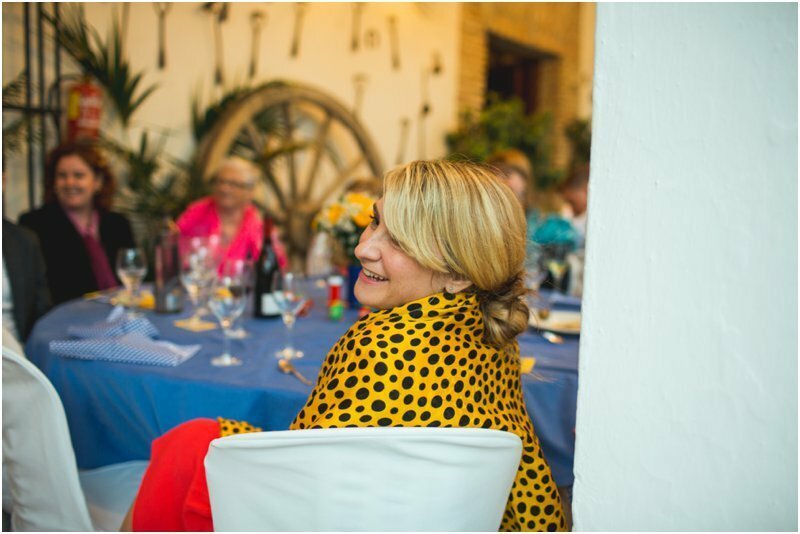 The wedding had such a lovely relaxed feel, highlights had to be the lovely ceremony lead by their good friend matt, the amazing spanish food and stunning scenery. 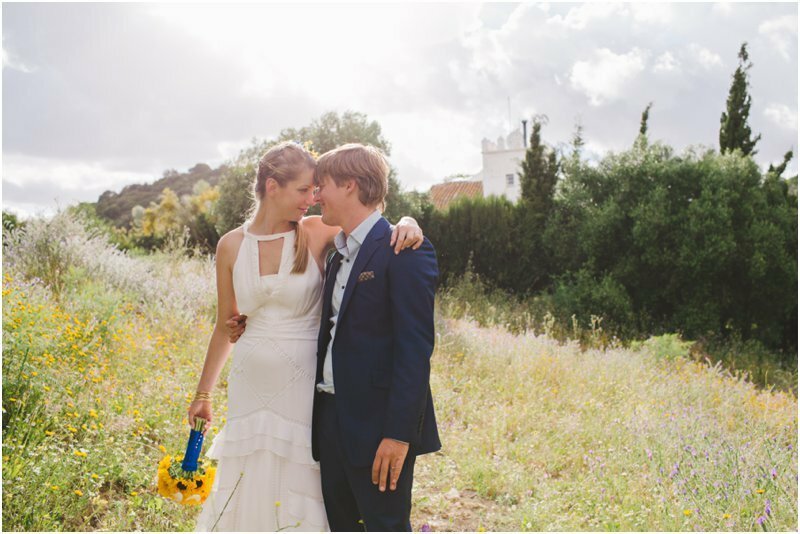 Wonderful Zoe! 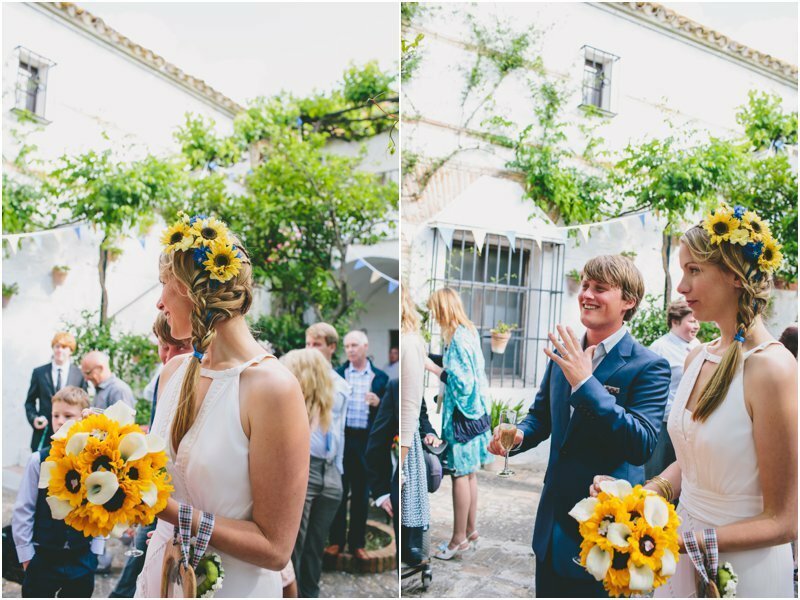 Shame the sunflowers were not out but it still looked beautiful and the couple so happy! 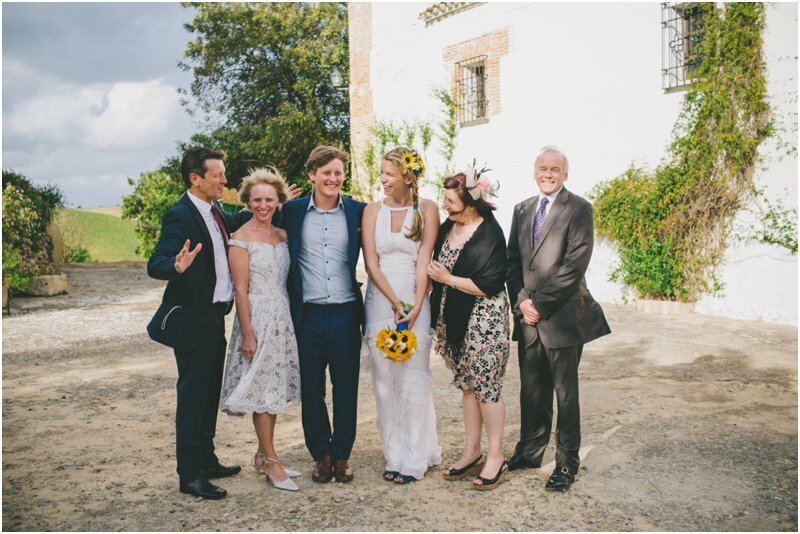 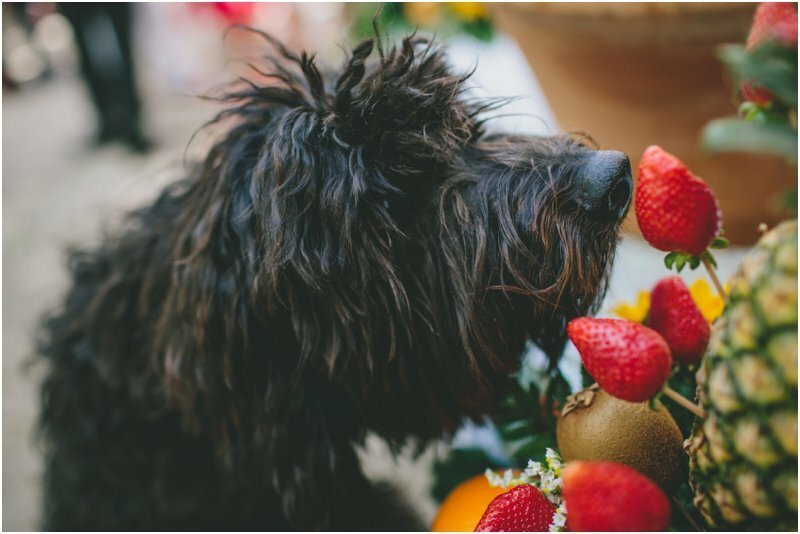 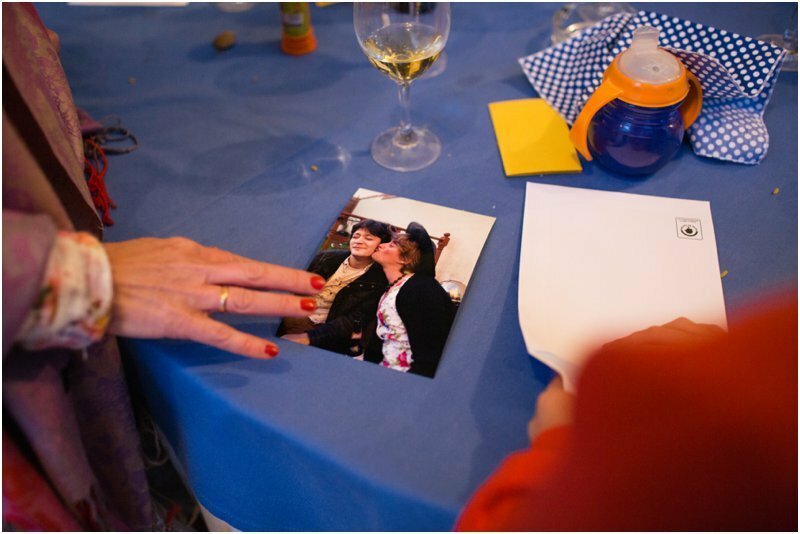 Stunning photos Zoe, amazing wedding! 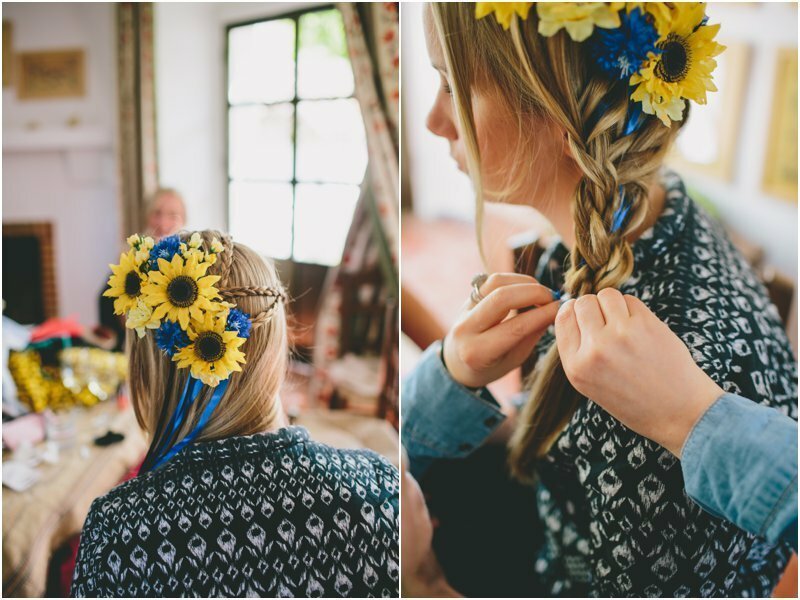 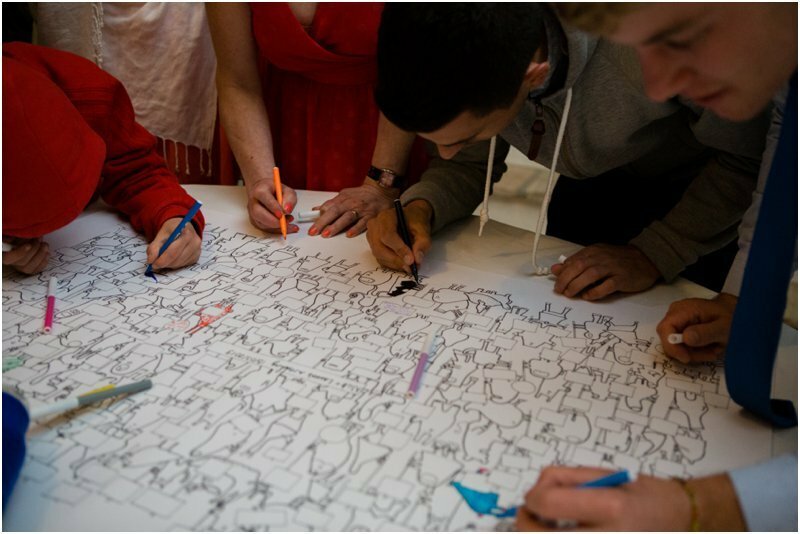 Stunning work and a beautiful wedding. 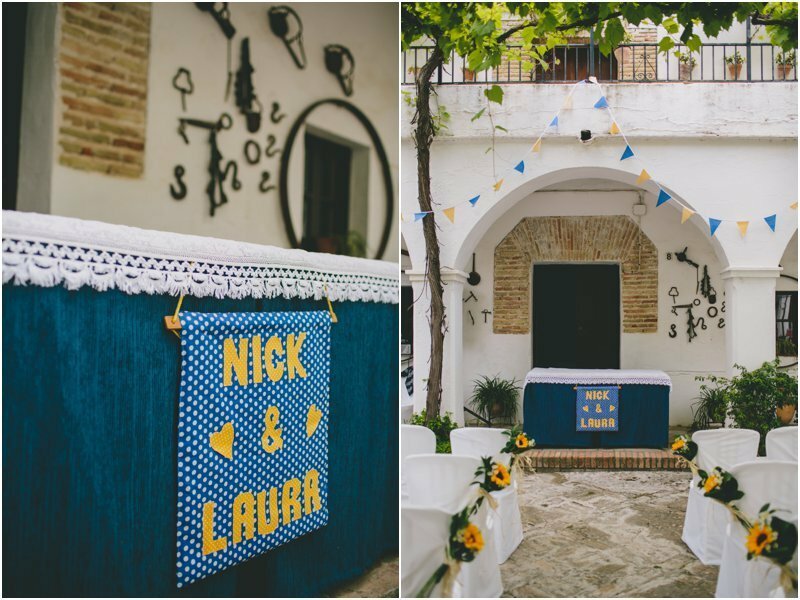 Your couple must be over the Moon! 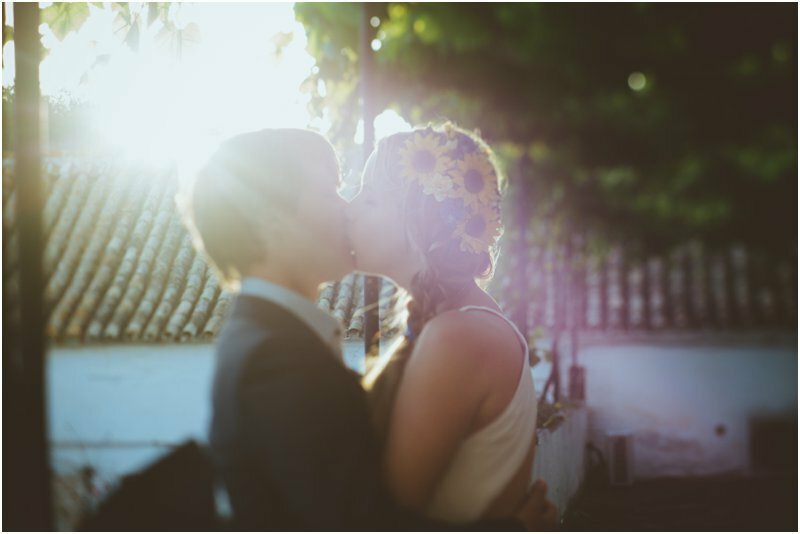 Just wonderful, Zoe. 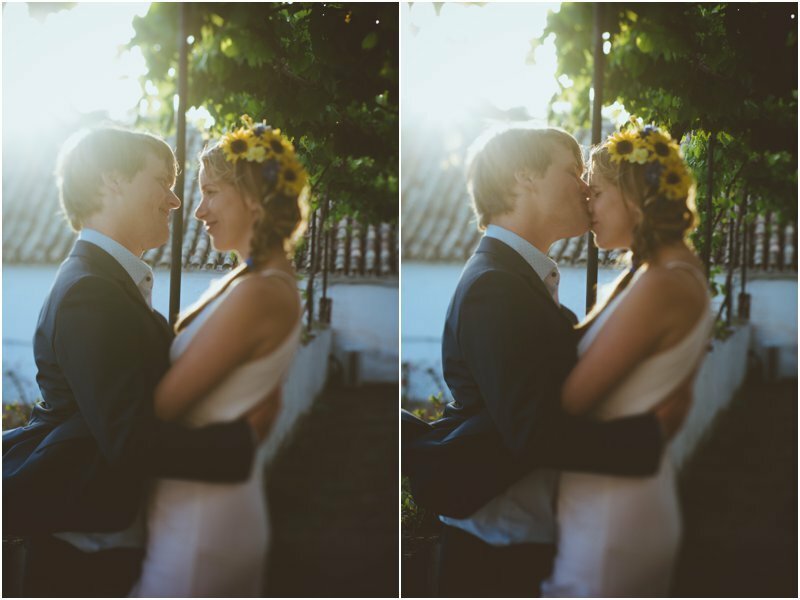 I really love your work. 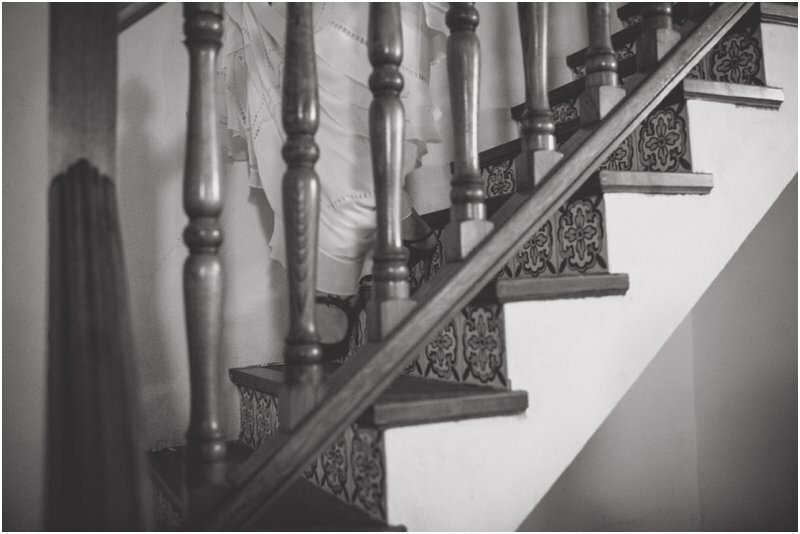 It’s so atmospheric. 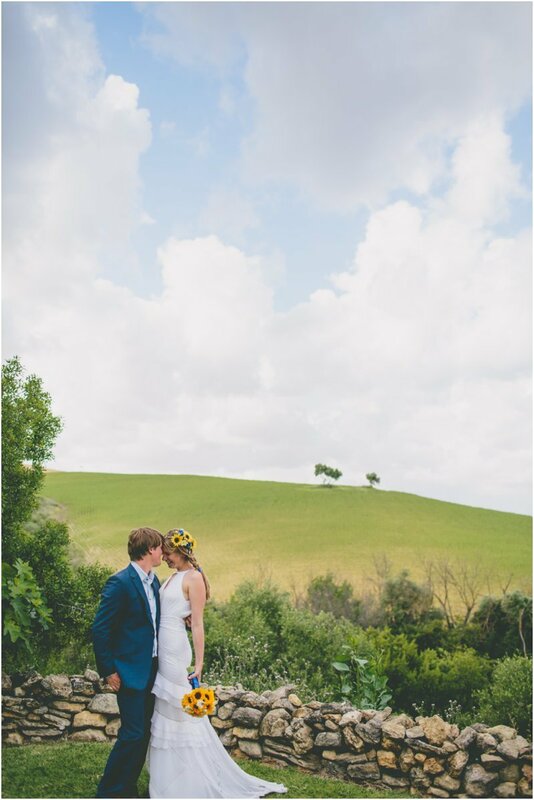 Beautiful wedding, beautiful location, beautifully photographed. 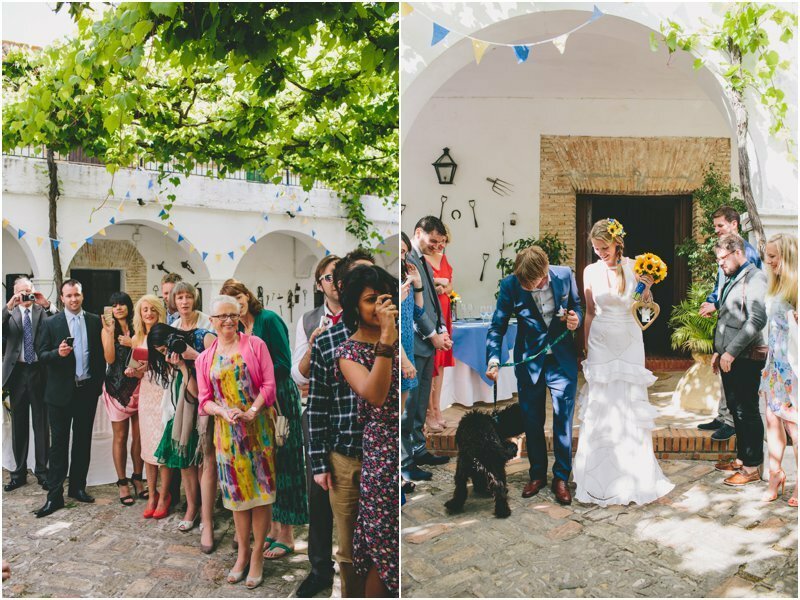 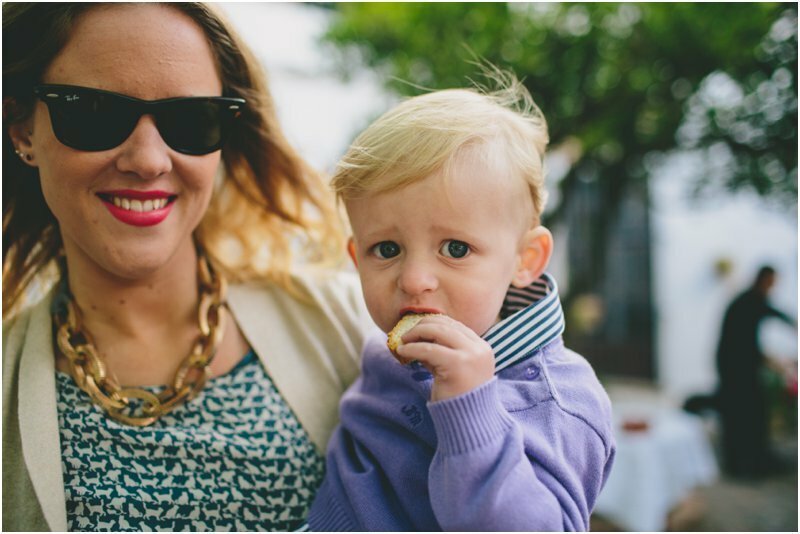 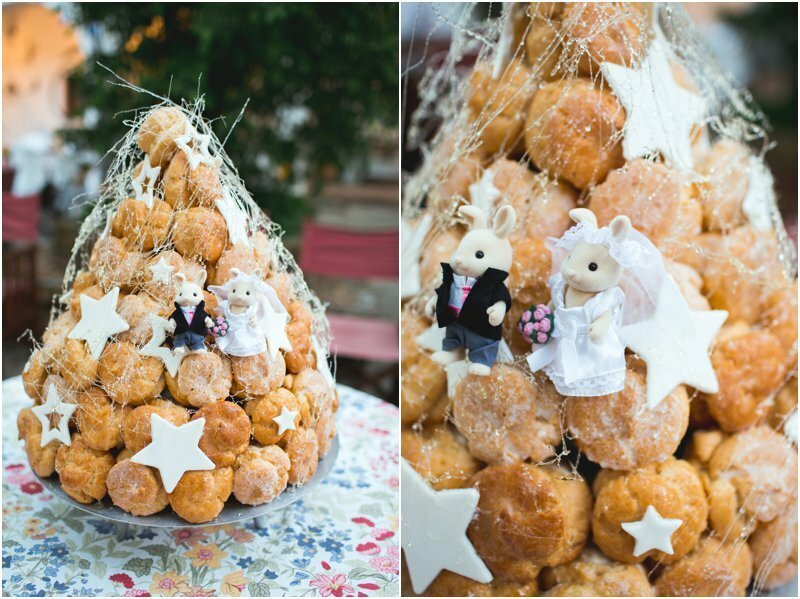 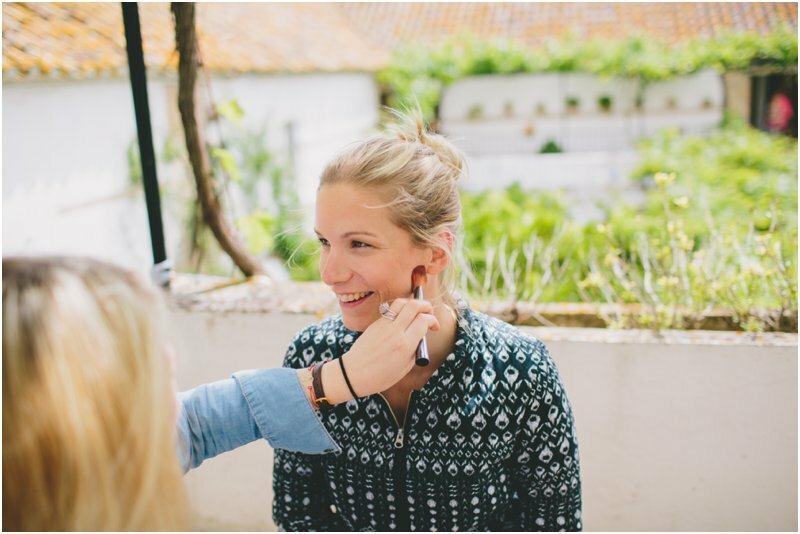 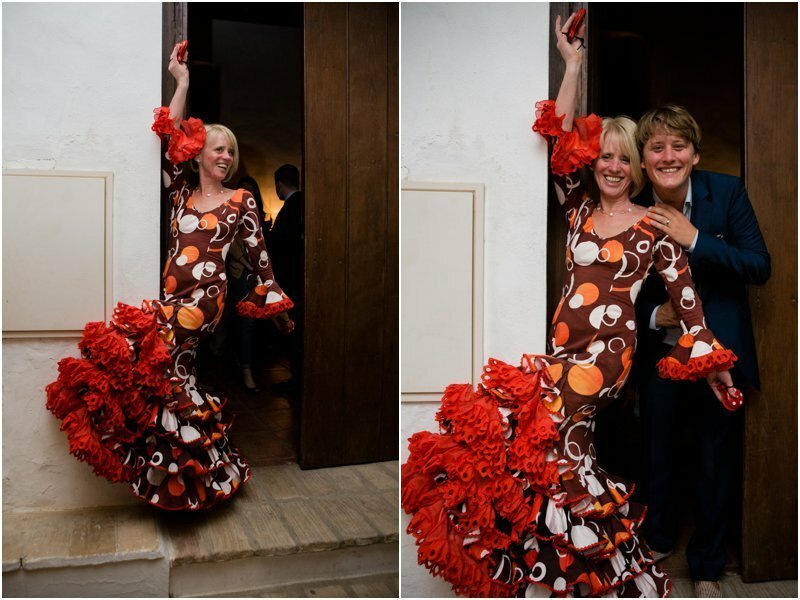 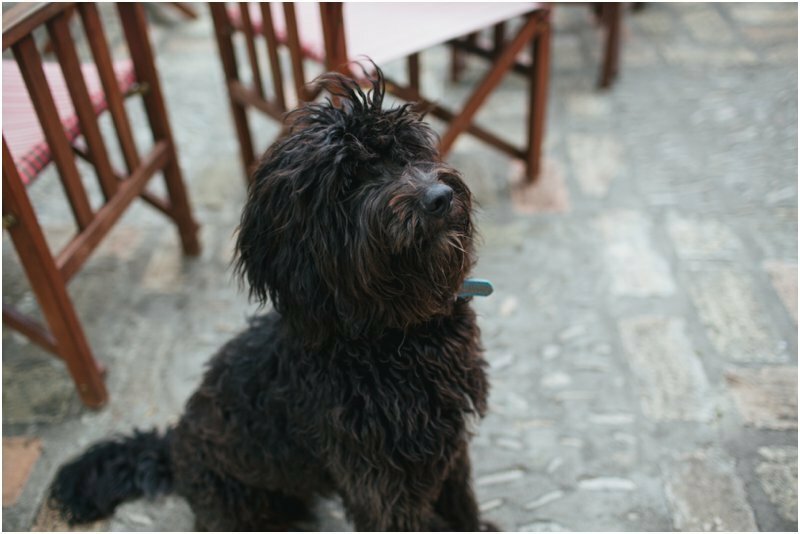 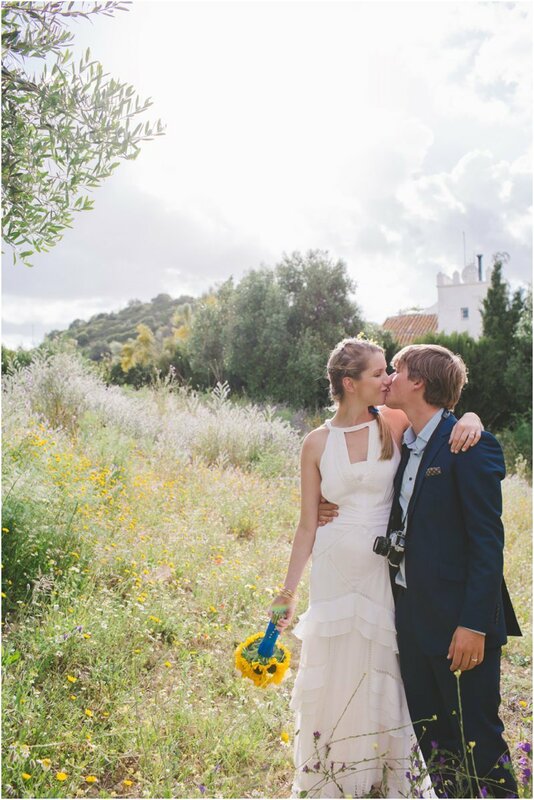 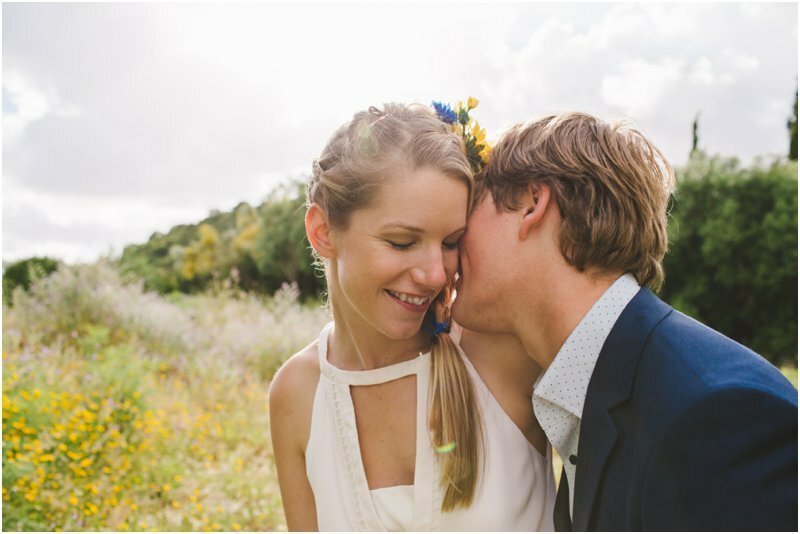 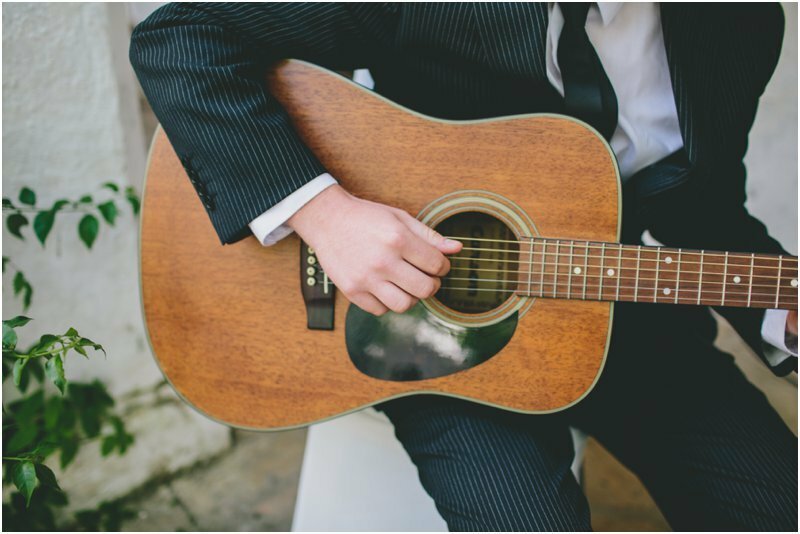 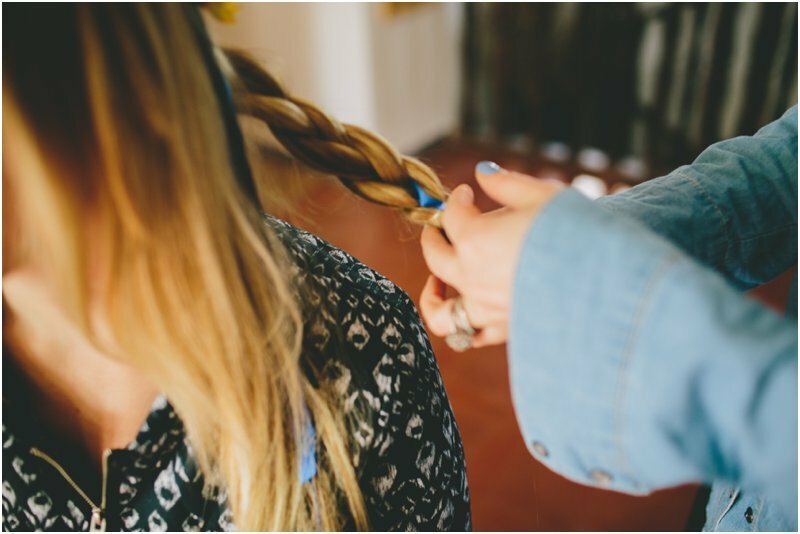 I bet you wish you could shoot weddings in Spain every week!